Croatian forces advance into Bosnia and Herzegovina which leads to the eventual end of the Bosnian War. The Croatian War of Independence was fought from 1991 to 1995 between Croat forces loyal to the government of Croatia—which had declared independence from the Socialist Federal Republic of Yugoslavia (SFRY)—and the Serb-controlled Yugoslav People's Army (JNA) and local Serb forces, with the JNA ending its combat operations in Croatia by 1992. In Croatia, the war is primarily referred to as the "Homeland War" (Domovinski rat) and also as the "Greater-Serbian Aggression" (Velikosrpska agresija). In Serbian sources, "War in Croatia" (Rat u Hrvatskoj) and "War in Krajina" (Rat u Krajini) are used. A majority of Croats wanted Croatia to leave Yugoslavia and become a sovereign country, while many ethnic Serbs living in Croatia, supported by Serbia, opposed the secession and wanted Serb-claimed lands to be in a common state with Serbia. Most Serbs effectively sought a new Serb state within a Yugoslav federation, including areas of Croatia and Bosnia and Herzegovina with ethnic Serb majorities or significant minorities, and attempted to conquer as much of Croatia as possible. Croatia declared independence on 25 June 1991, but agreed to postpone it with the Brioni Agreement and cut all remaining ties with Yugoslavia on 8 October 1991. The JNA initially tried to keep Croatia within Yugoslavia by occupying all of Croatia. 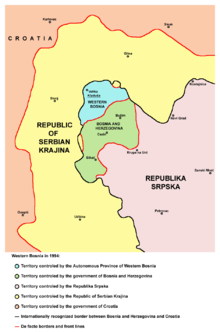 After this failed, Serb forces established the self-proclaimed Republic of Serbian Krajina (RSK) within Croatia. After the ceasefire of January 1992 and international recognition of the Republic of Croatia as a sovereign state, the front lines were entrenched, the United Nations Protection Force (UNPROFOR) was deployed, and combat became largely intermittent in the following three years. During that time, the RSK encompassed 13,913 square kilometers (5,372 sq mi), more than a quarter of Croatia. In 1995, Croatia launched two major offensives known as Operation Flash and Operation Storm, which would effectively end the war in its favor. The remaining United Nations Transitional Authority for Eastern Slavonia, Baranja and Western Sirmium (UNTAES) zone was peacefully reintegrated into Croatia by 1998. The war ended with Croatian victory, as it achieved the goals it had declared at the beginning of the war: independence and preservation of its borders. Approximately 21–25% of Croatia's economy was ruined, with an estimated US$37 billion in damaged infrastructure, lost output, and refugee-related costs. Over 20,000 people were killed in the war, and refugees were displaced on both sides. The Serb and Croatian governments began to progressively cooperate with each other but tensions remain, in part due to verdicts by the International Criminal Tribunal for the former Yugoslavia (ICTY) and lawsuits filed by each country against the other. In 2007, the International Criminal Tribunal for the former Yugoslavia (ICTY) returned a guilty verdict against Milan Martić, one of the Serb leaders in Croatia, for having colluded with Slobodan Milošević and others to create a "unified Serbian state". Between 2008 and 2012, the ICTY had prosecuted Croatian generals Ante Gotovina, Mladen Markač and Ivan Čermak for alleged involvement in the crimes related to Operation Storm. Čermak was acquitted outright, and the convictions of Gotovina and Markač were later overturned by an ICTY Appeals Panel. The International Court of Justice dismissed mutual claims of genocide by Croatia and Serbia in 2015. The Court reaffirmed that to an extent, crimes against civilians had taken place, but ruled that specific genocidal intent was not present. Serbian President Slobodan Milošević wanted to retain Serb-claimed lands in Croatia within a common state with Serbia. In the 1970s, Yugoslavia's Socialist regime became severely splintered into a liberal-decentralist nationalist faction led by Croatia and Slovenia that supported a decentralized federation to give greater autonomy to Croatia and Slovenia, versus a conservative-centralist nationalist faction led by Serbia that supported a centralized federation to secure Serbia's and the Serbs' interests across Yugoslavia – as they were the largest ethnic group in the country as a whole. From 1967 to 1972 in Croatia and 1968 and 1981 protests in Kosovo, nationalist doctrines and actions caused ethnic tensions that destabilized Yugoslavia. The suppression by the state of nationalists is believed to have had the effect of identifying Croat nationalism as the primary alternative to communism itself and made it a strong underground movement. A crisis emerged in Yugoslavia with the weakening of the communist states in Eastern Europe towards the end of the Cold War, as symbolized by the fall of the Berlin Wall in 1989. In Croatia, the regional branch of the League of Communists of Yugoslavia, the League of Communists of Croatia, had lost its ideological potency. Slovenia and Croatia wanted to move towards decentralization. SR Serbia, headed by Slobodan Milošević, adhered to centralism and single-party rule, and in turn effectively ended the autonomy of the autonomous provinces of Kosovo and Vojvodina by March 1989, taking command of their votes in the Yugoslav federal presidency. Nationalist ideas started to gain influence within the ranks of the still-ruling League of Communists, while Milošević's speeches, notably the 1989 Gazimestan speech in which he talked of "battles of quarrels", favored continuation of a unified Yugoslav state — one in which all power would continue to be centralized in Belgrade. In the autumn of 1989, the Serbian government pressured the Croatian government to allow a series of Serb nationalist rallies in the country, and the Serbian media and various Serbian intellectuals had already begun to refer to the Croatian leadership as "Ustaše", and began to make reference to crimes committed by the Ustaše between 1941-45. The Serbian political leadership approved of the rhetoric, and accused the Croatian leadership of being "blindly nationalistic" when it objected. Having completed the anti-bureaucratic revolution in Vojvodina, Kosovo, and Montenegro, Serbia secured four out of eight federal presidency votes in 1991, which rendered the governing body ineffective as other republics objected and called for reform of the Federation. In 1989, political parties were allowed and a number of them had been founded, including the Croatian Democratic Union (Croatian: Hrvatska demokratska zajednica) (HDZ), led by Franjo Tuđman, who later became the first president of Croatia. Croatian President Franjo Tuđman wanted Croatia to become independent from Yugoslavia. In January 1990, the League of Communists broke up on ethnic lines, with the Croatian and Slovene factions demanding a looser federation at the 14th Extraordinary Congress. At the congress, Serbian delegates accused the Croatian and Slovene delegates of "supporting separatism, terrorism and genocide in Kosovo". The Croatian and Slovene delegations, including most of their ethnic Serb members, eventually left in protest, after Serbian delegates rejected every proposed amendment. January 1990 also marked the beginning of court cases being brought to Yugoslavia's Constitutional Court on the matter of secession. The first was the Slovenian Constitutional Amendments case after Slovenia claimed the right to unilateral secession pursuant to the right of self-determination. The Constitutional Court ruled that secession from the federation was only permitted if there was the unanimous agreement of Yugoslavia's republics and autonomous provinces. The Constitutional Court noted that 1974 Constitution's Section I of the Basic Principles of the Constitution identified that self-determination including secession "belonged to the peoples of Yugoslavia and their socialist republics". The matter of Kosovo secession was addressed in May 1991 with the court claiming that "only the peoples of Yugoslavia" had the right to secession, Albanians were considered a minority and not a people of Yugoslavia. In February 1990, Jovan Rašković founded the Serb Democratic Party (SDS) in Knin, whose program aimed to change the regional division of Croatia to be aligned with ethnic Serb interests. Prominent members of the RSK government, including Milan Babić and Milan Martić, later testified that Belgrade directed a propaganda campaign portraying the Serbs in Croatia as being threatened with genocide by the Croat majority. On 4 March 1990, 50,000 Serbs rallied at Petrova Gora and shouted negative remarks aimed at Tuđman, chanted "This is Serbia", and expressed support for Milošević. The first free elections in Croatia and Slovenia were scheduled for a few months later. The first round of elections in Croatia was held on 22 April, and the second round on 6 May. The HDZ based its campaign on greater sovereignty (eventually outright independence) for Croatia, fueling a sentiment among Croats that "only the HDZ could protect Croatia from the aspirations of Milošević towards a Greater Serbia". It topped the poll in the elections (followed by Ivica Račan's reformed communists, Social Democratic Party of Croatia) and was set to form a new Croatian Government. A tense atmosphere prevailed on May 13, 1990, when a football game was held at Zagreb in Maksimir Stadium between Zagreb's Dinamo team and Belgrade's Red Star. The game erupted into violence between the Croatian and Serbian fans and with the police. On 30 May 1990, the new Croatian Parliament held its first session. President Tuđman announced his manifesto for a new Constitution (ratified at the end of the year) and a multitude of political, economic, and social changes, notably to what extent minority rights (mainly for Serbs) would be guaranteed. Local Serb politicians opposed the new constitution. In 1991, Croats represented 78.1% and Serbs 12.2% of the total population of Croatia, but the latter held a disproportionate number of official posts: 17.7% of appointed officials in Croatia, including police, were Serbs. An even greater proportion of those posts had been held by Serbs in Croatia earlier, which created a perception that the Serbs were guardians of the communist regime. This caused discontent among the Croats despite the fact it never actually undermined their own dominance in SR Croatia. After the HDZ came to power, many Serbs employed in the public sector, especially the police, were fired and replaced by Croats. This, combined with Tuđman's remarks, i.e. "they declare that my wife is Jewish or Serbian. Luckily for me, she never was either", were distorted by Milošević's media to spark fear that any form of an independent Croatia would be a new "Ustashe state". In one instance, TV Belgrade showed Tuđman shaking hands with German Chancellor Helmut Kohl (who would be the first government leader in the world to recognise independent Croatia and Slovenia) accusing the two of plotting "a Fourth Reich". Immediately after the Slovenian parliamentary election and the Croatian parliamentary election in April and May 1990, the JNA announced that the Tito-era doctrine of "general people's defense", in which each republic maintained a Territorial defense force (Serbo-Croatian: Teritorijalna obrana) (TO), would henceforth be replaced by a centrally directed system of defense. The republics would lose their role in defense matters, and their TOs would be disarmed and subordinated to JNA headquarters in Belgrade, but the new Slovenian government acted quickly to retain control over their TO. On 14 May 1990, the weapons of the TO of Croatia, in Croat-majority regions, were taken away by the JNA, preventing the possibility of Croatia having its own weapons as was done in Slovenia. Borisav Jović, Serbia's representative in the Federal Presidency and a close ally of Slobodan Milošević, claimed that this action came at the behest of Serbia. According to Jović, on 27 June 1990 he and Veljko Kadijević, the Yugoslav Defence Minister, met and agreed that they should, regarding Croatia and Slovenia, "expel them forcibly from Yugoslavia, by simply drawing borders and declaring that they have brought this upon themselves through their decisions". According to Jović, the next day he obtained the agreement of Milošević. However, Kadijević, of mixed Serb-Croat heritage and a Yugoslav Partisan in World War II, was loyal to Yugoslavia and not a Greater Serbia; Kadijević believed that if Slovenia left Yugoslavia the state would collapse and thus he discussed with Jović about possibly using the JNA to impose martial law in Slovenia to prevent this potential collapse and was willing to wage war with the secessionist republics to prevent their secession. Kadijević considered the political crisis and ethnic conflict to have been caused by the actions of foreign governments, particularly Germany, which he accused of seeking to break up Yugoslavia to allow Germany to exercise a sphere of influence in the Balkans. Kadijević regarded the Croatian government of Tuđman to be a fascist-inspired and that Serbs had the right to be protected from Croatian "armed formations". 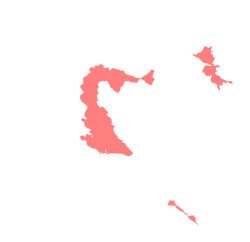 After the election of Tuđman and the HDZ, a Serb Assembly was established in Srb, north of Knin, on 25 July 1990 as the political representation of the Serb people in Croatia. The Serb Assembly declared "sovereignty and autonomy of the Serb people in Croatia". Greater Serbian circles have no interest in protecting the Serbian people living in either Croatia or Bosnia or anywhere else. If that were the case, then we could look and see what it is in the Croatian constitution, see what is in the declaration on minorities, on the Serbs in Croatia and on minorities, because the Serbs are treated separately there. Let us see if the Serbs have less rights than the Croats in Croatia. That would be protecting the Serbs in Croatia. But that is not what is sought. Gentlemen, what they want is territory. In August 1990, an unrecognized mono-ethnic referendum was held in regions with a substantial Serb population which would later become known as the Republic of Serbian Krajina (RSK) (bordering western Bosnia and Herzegovina) on the question of Serb "sovereignty and autonomy" in Croatia. This was an attempt to counter changes made to the constitution. The Croatian government sent police forces to police stations in Serb-populated areas to seize their weapons. Among other incidents, local Serbs from the southern hinterlands of Croatia, mostly around the city of Knin, blocked roads to tourist destinations in Dalmatia. This incident is known as the "Log Revolution". Years later, during Martić's trial, Babić claimed he was tricked by Martić into agreeing to the Log Revolution, and that it and the entire war in Croatia was Martić's responsibility, and had been orchestrated by Belgrade. The statement was corroborated by Martić in an interview published in 1991. Babić confirmed that by July 1991 Milošević had taken over control of the Yugoslav People's Army (JNA). The Croatian government responded to the blockade of roads by sending special police teams in helicopters to the scene, but were intercepted by SFR Yugoslav Air Force fighter jets and forced to turn back to Zagreb. The Serbs felled pine trees or used bulldozers to block roads to seal off towns like Knin and Benkovac near the Adriatic coast. On 18 August 1990, the Serbian newspaper Večernje novosti claimed almost "two million Serbs were ready to go to Croatia to fight". 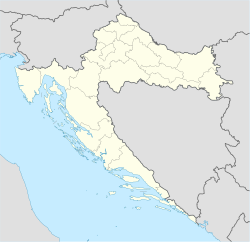 On 21 December 1990, the SAO Krajina was proclaimed by the municipalities of the regions of Northern Dalmatia and Lika, in south-western Croatia. Article 1 of the Statute of the SAO Krajina defined the SAO Krajina as "a form of territorial autonomy within the Republic of Croatia" in which the Constitution of the Republic of Croatia, state laws, and the Statute of the SAO Krajina were applied. On 22 December 1990, the Parliament of Croatia ratified the new constitution, which was seen by Serbs as taking away rights that had been granted by the Socialist constitution. The constitution did define Croatia as "the national state of the Croatian nation and a state of members of other nations and minorities who are its citizens: Serbs ... who are guaranteed equality with citizens of Croatian nationality ..."
Following Tuđman's election and the perceived threat from the new constitution, Serb nationalists in the Kninska Krajina region began taking armed action against Croatian government officials. Croatian government property throughout the region was increasingly controlled by local Serb municipalities or the newly established "Serbian National Council". This would later become the government of the breakaway Republic of Serbian Krajina (RSK). After it was discovered that Martin Špegelj had pursued a campaign to acquire arms through the black market in January 1991 an ultimatum was issued requesting disarming and disbanding of Croatian military forces considered illegal by the Yugoslav authorities. Croatian authorities refused to comply, and the Yugoslav army withdrew the ultimatum six days after it was issued. An insidious plan has been drawn up to destroy Yugoslavia. Stage one is civil war. Stage two is foreign intervention. Then puppet regimes will be set up throughout Yugoslavia. —  Veljko Kadijević, 12 March 1991. Jović claims that Kadijević and the Army in March 1991 supported a coup d'etat as a way out of the crisis but then changed their minds four days later. Kadijević's response to this was that "Jović is lying". Kadijević claims he was invited to a meeting in March 1991 in Jović's office, two days after huge protests organized by Vuk Drašković on the streets of Belgrade, where Milošević, according to Kadijević, requested that the army take control of the country through a military coup. Kadijević's apparent response was to inform Milošević that he could not make such a decision by himself, and that he'd discuss the request with army leaders and later inform Jović's office about their decision. Kadijević then said that their decision was against the putsch and that he informed Jović's office in written form about it. Jović claims that such document doesn't exist. Ante Marković has described that after the Presidency meeting failed to achieve the results the Army wanted that Kadijević met with him with the proposed coup d'etat against the secessionist republics. During the meeting Marković responded to Kadijević by saying that the plan failed to arrest Milošević. Kadijević replied "He is only one fighting for Yugoslavia. Without him, we could not be proposing this." Marković rejected the plan and afterwards communication between Kadijević and Marković broke down. The JNA was initially formed during World War II to carry out guerrilla warfare against occupying Axis forces. The success of the Partisan movement led to the JNA basing much of its operational strategy on guerrilla warfare, as its plans normally entailed defending against NATO or Warsaw Pact attacks, where other types of warfare would put the JNA in a comparatively poor position. That approach led to maintenance of a Territorial Defense system. On paper, the JNA seemed a powerful force, with 2,000 tanks and 300 jet aircraft (mainly Soviet or locally produced). However, by 1991, the majority of this equipment was 30 years old, as the force consisted primarily of T-54/55 tanks and MiG-21 aircraft. Still, the JNA operated around 300 M-84 tanks (a Yugoslav version of the Soviet T-72) and a sizable fleet of ground-attack aircraft, such as the Soko G-4 Super Galeb and the Soko J-22 Orao, whose armament included AGM-65 Maverick guided missiles. By contrast, more modern cheap anti-tank missiles (like the AT-5) and anti-aircraft missiles (like the SA-14) were abundant and were designed to destroy much more advanced weaponry. Before the war the JNA had 169,000 regular troops, including 70,000 professional officers. The fighting in Slovenia brought about a great number of desertions, and the army responded by mobilizing Serbian reserve troops. Approximately 100,000 evaded the draft, and the new conscripts proved an ineffective fighting force. The JNA resorted to reliance on irregular militias. Paramilitary units like the White Eagles, Serbian Guard, Dušan Silni, and Serb Volunteer Guard, which committed a number of massacres against Croat and other non-Serbs civilians, were increasingly used by the Yugoslav and Serb forces. There were also foreign fighters supporting the RSK, mostly from Russia. With the retreat of the JNA forces in 1992, JNA units were reorganized as the Army of Serb Krajina, which was a direct heir to the JNA organization, with little improvement. The Croatian military eased their equipment shortage by seizing the JNA barracks in the Battle of the Barracks. The Croatian military was in a much worse state than that of the Serbs. In the early stages of the war, lack of military units meant that the Croatian Police force would take the brunt of the fighting. The Croatian National Guard (Croatian: Zbor narodne garde), the new Croatian military, was formed on 11 April 1991, and gradually developed into the Croatian Army (Croatian: Hrvatska vojska) by 1993. Weaponry was in short supply, and many units were either unarmed or were equipped with obsolete World War II-era rifles. The Croatian Army had only a handful of tanks, including World War II-surplus vehicles such as the T-34, and its air force was in an even worse state, consisting of only a few Antonov An-2 biplane crop-dusters that had been converted to drop makeshift bombs. In August 1991, the Croatian Army had fewer than 20 brigades. After general mobilization was instituted in October, the size of the army grew to 60 brigades and 37 independent battalions by the end of the year. In 1991 and 1992, Croatia was also supported by 456 foreign fighters, including British (139), French (69), and German (55). The seizure of the JNA's barracks between September and December helped to alleviate the Croatians' equipment shortage. By 1995, the balance of power had shifted significantly. Serb forces in Croatia and Bosnia and Herzegovina were capable of fielding an estimated 130,000 troops; the Croatian Army, Croatian Defence Council (Croatian: Hrvatsko vijeće obrane) (HVO), and the Army of the Republic of Bosnia and Herzegovina could field a combined force of 250,000 soldiers and 570 tanks. Ethnic hatred grew as various incidents fueled the propaganda machines on both sides. During his testimony before the ICTY, one of the top-Krajina leaders, Milan Martić, stated that the Serb side started using force first. The conflict escalated into armed incidents in the majority-Serb populated areas. The Serbs attacked Croatian police units in Pakrac in early March, while one Josip Jović is widely reported as the first police officer killed by Serb forces as part of the war, during the Plitvice Lakes incident in late March 1991. In March and April 1991, Serbs in Croatia began to make moves to secede from that territory. It is a matter of debate to what extent this move was locally motivated and to what degree the Milošević-led Serbian government was involved. In any event, the SAO Krajina was declared, which consisted of any Croatian territory with a substantial Serb population. The Croatian government viewed this move as a rebellion. From the beginning of the Log Revolution and the end of April 1991, nearly 200 incidents involving the use of explosive devices and 89 attacks on the Croatian police were recorded. The Croatian Ministry of the Interior started arming an increasing number of special police forces, and this led to the building of a real army. On 9 April 1991, Croatian President Tuđman ordered the special police forces to be renamed Zbor Narodne Garde ("National Guard"); this marks the creation of a separate military of Croatia. Significant clashes from this period included the siege of Kijevo, where over a thousand people were besieged in the inner Dalmatian village of Kijevo, and the Borovo Selo killings, where Croatian policemen engaged Serb paramilitaries in the eastern Slavonian village of Borovo and suffered twelve casualties. Violence gripped eastern Slavonian villages: in Tovarnik, a Croat policeman was killed by Serb paramilitaries on 2 May, while in Sotin, a Serb civilian was killed on 5 May when he was caught in a crossfire between Serb and Croat paramilitaries. On 6 May, the 1991 protest in Split against the siege of Kijevo at the Navy Command in Split resulted in the death of a Yugoslav People's Army soldier. On 15 May, Stjepan Mesić, a Croat, was scheduled to be the chairman of the rotating presidency of Yugoslavia. Serbia, aided by Kosovo, Montenegro, and Vojvodina, whose presidency votes were at that time under Serbian control, blocked the appointment, which was otherwise seen as largely ceremonial. This maneuver technically left Yugoslavia without a head of state and without a commander-in-chief. Two days later, a repeated attempt to vote on the issue failed. Ante Marković, prime minister of Yugoslavia at the time, proposed appointing a panel which would wield presidential powers. It was not immediately clear who the panel members would be, apart from defense minister Veljko Kadijević, nor who would fill position of JNA commander-in-chief. The move was quickly rejected by Croatia as unconstitutional. The crisis was resolved after a six-week stalemate, and Mesić was elected president — the first non-communist to become Yugoslav head of state in decades. Throughout this period, the federal army, the JNA, and the local Territorial Defense Forces continued to be led by Federal authorities controlled by Milošević. Helsinki Watch reported that Serb Krajina authorities executed Serbs who were willing to reach an accommodation with Croat officials. On 19 May 1991, the Croatian authorities held a referendum on independence with the option of remaining in Yugoslavia as a looser union. Serb local authorities issued calls for a boycott, which were largely followed by Croatian Serbs. The referendum passed with 94% in favor. The newly constituted Croatian military units held a military parade and review at Stadion Kranjčevićeva in Zagreb on 28 May 1991. The parliament of Croatia declared Croatia's independence and dissolved its association with Yugoslavia on 25 June 1991. The Croatian parliament's decision was partially boycotted by left-wing parliament deputies. The European Community and the Conference on Security and Cooperation in Europe urged Croatian authorities to place a three-month moratorium on the decision. The government of Yugoslavia responded to the declarations of independence of Croatia and Slovenia with Yugoslav Prime Minister Ante Marković declaring the secessions to be illegal and contrary to the Constitution of Yugoslavia, and supported the JNA taking action to secure the integral unity of Yugoslavia. In June and July 1991, the short armed conflict in Slovenia came to a speedy end, partly because of the ethnic homogeneity of the population of Slovenia. It was later revealed that a military strike against Slovenia, followed by a planned withdrawal, was conceived by Slobodan Milošević and Borisav Jović, then president of the SFR Yugoslavia presidency. Jović published his diary containing the information and repeated it in his testimony at the Milošević trial at the ICTY. Croatia agreed to the Brioni Agreement that involved freezing its independence declaration for three months, which eased tensions a little. In July, in an attempt to salvage what remained of Yugoslavia, JNA forces were involved in operations against predominantly Croat areas. In July the Serb-led Territorial Defence Forces started their advance on Dalmatian coastal areas in Operation Coast-91. By early August, large areas of Banovina were overrun by Serb forces. With the start of military operations in Croatia, Croats and a number of Serbian conscripts started to desert the JNA en masse, similar to what had happened in Slovenia. Albanians and Macedonians started to search for a way to legally leave the JNA or serve their conscription term in Macedonia; these moves further homogenized the ethnic composition of JNA troops in or near Croatia. One month after Croatia declared its independence, the Yugoslav army and other Serb forces held something less than one-third of the Croatian territory, mostly in areas with a predominantly ethnic Serb population. The JNA military strategy partly consisted of extensive shelling, at times irrespective of the presence of civilians. As the war progressed, the cities of Dubrovnik, Gospić, Šibenik, Zadar, Karlovac, Sisak, Slavonski Brod, Osijek, Vinkovci, and Vukovar all came under attack by Yugoslav forces. The United Nations (UN) imposed a weapons embargo; this did not affect JNA-backed Serb forces significantly, as they had the JNA arsenal at their disposal, but it caused serious trouble for the newly formed Croatian army. The Croatian government started smuggling weapons over its borders. We will soon gain control of Petrinja, Karlovac and Zadar because it has been shown that it is in our interest and the interest of the army to have a large port. In August 1991, the Battle of Vukovar began. Eastern Slavonia was gravely impacted throughout this period, starting with the Dalj massacre, and fronts developed around Osijek and Vinkovci in parallel to the encirclement of Vukovar. In September, Serbian troops completely surrounded the city of Vukovar. Croatian troops, including the 204th Vukovar Brigade, entrenched themselves within the city and held their ground against elite armored and mechanized brigades of the JNA, as well as Serb paramilitary units. Vukovar was almost completely devastated; 15,000 houses were destroyed. Some ethnic Croatian civilians had taken shelter inside the city. Other members of the civilian population fled the area en masse. Death toll estimates for Vukovar as a result of the siege range from 1,798 to 5,000. A further 22,000 were exiled from Vukovar immediately after the town was captured. Some estimates include 220,000 Croats and 300,000 Serbs internally displaced for the duration of the war in Croatia. In many areas, large numbers of civilians were forced out by the military. It was at this time that the term ethnic cleansing—the meaning of which ranged from eviction to murder—first entered the English lexicon. On October 3, the Yugoslav Navy renewed its blockade of the main ports of Croatia. This move followed months of standoff for JNA positions in Dalmatia and elsewhere now known as the Battle of the barracks. It also coincided with the end of Operation Coast-91, in which the JNA failed to occupy the coastline in an attempt to cut off Dalmatia's access to the rest of Croatia. On October 5, President Tuđman made a speech in which he called upon the whole population to mobilize and defend against "Greater Serbian imperialism" pursued by the Serb-led JNA, Serbian paramilitary formations, and rebel Serb forces. On 7 October, the Yugoslav air force attacked the main government building in Zagreb, an incident referred to as the bombing of Banski dvori. The next day, as a previously agreed three-month moratorium on implementation of the declaration of independence expired, the Croatian Parliament severed all remaining ties with Yugoslavia. 8 October is now celebrated as Independence Day in Croatia. The bombing of the government offices and the Siege of Dubrovnik that started in October were contributing factors that led to European Union (EU) sanctions against Serbia. On 15 October after the capture of Cavtat by the JNA, local Serbs led by Aco Apolonio proclaimed the Dubrovnik Republic. The international media focused on the damage to Dubrovnik's cultural heritage; concerns about civilian casualties and pivotal battles such as the one in Vukovar were pushed out of public view. Nonetheless, artillery attacks on Dubrovnik damaged 56% of its buildings to some degree, as the historic walled city, a UNESCO World Heritage Site, sustained 650 hits by artillery rounds. 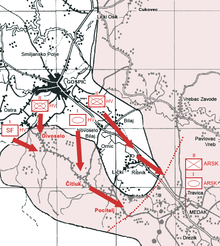 In response to the 5th JNA Corps advance across the Sava River towards Pakrac and further north into western Slavonia, the Croatian army began a successful counterattack in early November 1991, its first major offensive operation of the war. Operation Otkos 10 (31 October to 4 November) resulted in Croatia recapturing an area between the Bilogora and Papuk mountains. The Croatian Army recaptured approximately 270 square kilometers (100 sq mi) of territory in this operation. The Vukovar massacre took place in November; the survivors were transported to prison camps such as Ovčara and Velepromet, with the majority ending up in Sremska Mitrovica prison camp. The sustained siege of Vukovar attracted heavy international media attention. Many international journalists were in or near Vukovar, as was UN peace mediator Cyrus Vance, who had been Secretary of State to former US President Carter. Also in eastern Slavonia, the Lovas massacre occurred in October and the Erdut massacre in November 1991, before and after the fall of Vukovar. At the same time, the Škabrnja massacre occurred in the northern Dalmatian hinterland; it was largely overshadowed by the events at Vukovar. Croats became refugees in their own country. On 14 November, the Navy blockade of Dalmatian ports was challenged by civilian ships. The confrontation culminated in the Battle of the Dalmatian channels, when Croatian coastal and island based artillery damaged, sank, or captured a number of Yugoslav navy vessels, including Mukos PČ 176, later rechristened PB 62 Šolta. After the battle, the Yugoslav naval operations were effectively limited to the southern Adriatic. Croatian forces made further advances in the second half of December, including Operation Orkan 91. In the course of Orkan '91, the Croatian army recaptured approximately 1,440 square kilometers (560 sq mi) of territory. The end of the operation marked the end of a six-month-long phase of intense fighting: 10,000 people had died; hundreds of thousands had fled and tens of thousands of homes had been destroyed. On December 19, as the intensity of the fighting increased, Croatia won its first diplomatic recognition by a western nation—Iceland—while the Serbian Autonomous Oblasts in Krajina and western Slavonia officially declared themselves the Republic of Serbian Krajina. Four days later, Germany recognized Croatian independence. On December 26, 1991, the Serb-dominated federal presidency announced plans for a smaller Yugoslavia that could include the territory captured from Croatia during the war. 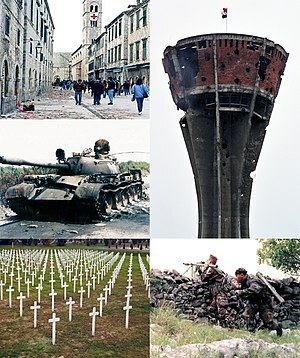 However, on December 21, 1991 for the first time in the war Istria was under attack. The Serbian Forces attacked the airport near the city of Vrsar, situated in the south-western of the peninsula between the city of Poreč and Rovinj, with two MiG-21 and two Galeb G-2. Afterwards, Yugoslav airplanes carpet bombed Vrsar's "Crljenka" airport, resulting in two deaths. Mediated by foreign diplomats, ceasefires were frequently signed and frequently broken. Croatia lost much territory, but expanded the Croatian Army from the seven brigades it had at the time of the first ceasefire to 60 brigades and 37 independent battalions by December 31, 1991. The Arbitration Commission of the Peace Conference on Yugoslavia, also referred to as Badinter Arbitration Committee, was set up by the Council of Ministers of the European Economic Community (EEC) on August 27, 1991, to provide the Conference on Yugoslavia with legal advice. The five-member Commission consisted of presidents of Constitutional Courts in the EEC. Starting in late November 1991, the committee rendered ten opinions. The Commission stated, among other things, that SFR Yugoslavia was in the process of dissolution and that the internal boundaries of Yugoslav republics may not be altered unless freely agreed upon. Factors in favour of Croatia's preservation of its pre-war borders were the Yugoslav Federal Constitution Amendments of 1971, and the Yugoslav Federal Constitution of 1974. The 1971 amendments introduced a concept that sovereign rights were exercised by the federal units, and that the federation had only the authority specifically transferred to it by the constitution. The 1974 Constitution confirmed and strengthened the principles introduced in 1971. The borders had been defined by demarcation commissions in 1947, pursuant to decisions of AVNOJ in 1943 and 1945 regarding the federal organization of Yugoslavia. A new UN-sponsored ceasefire, the fifteenth in just six months, was agreed on January 2, 1992, and came into force the next day. This so-called Sarajevo Agreement became a lasting ceasefire. Croatia was officially recognized by the European Community on January 15, 1992. Even though the JNA began to withdraw from Croatia, including Krajina, the RSK clearly retained the upper hand in the occupied territories due to support from Serbia. By that time, the RSK encompassed 13,913 square kilometers (5,372 sq mi) of territory. The area size did not encompass another 680 square kilometers (260 sq mi) of occupied territory near Dubrovnik, as that area was not considered part of the RSK. Ending the series of unsuccessful ceasefires, the UN deployed a protection force in Serbian-held Croatia—the United Nations Protection Force (UNPROFOR)—to supervise and maintain the agreement. The UNPROFOR was officially created by UN Security Council Resolution 743 on February 21, 1992. The warring parties mostly moved to entrenched positions, and the JNA soon retreated from Croatia into Bosnia and Herzegovina, where a new conflict was anticipated. Croatia became a member of the UN on May 22, 1992, which was conditional upon Croatia amending its constitution to protect the human rights of minority groups and dissidents. Expulsions of the non-Serb civilian population remaining in the occupied territories continued despite the presence of the UNPROFOR peacekeeping troops, and in some cases, with UN troops being virtually enlisted as accomplices. The Yugoslav People's Army took thousands of prisoners during the war in Croatia, and interned them in camps in Serbia, Bosnia and Herzegovina, and Montenegro. The Croatian forces also captured some Serbian prisoners, and the two sides agreed to several prisoner exchanges; most prisoners were freed by the end of 1992. Some infamous prisons included the Sremska Mitrovica camp, the Stajićevo camp, and the Begejci camp in Serbia, and the Morinj camp in Montenegro. The Croatian Army also established detention camps, such as the Lora prison camp in Split. Armed conflict in Croatia continued intermittently on a smaller scale. There were several smaller operations undertaken by Croatian forces to relieve the siege of Dubrovnik, and other Croatian cities (Šibenik, Zadar and Gospić) from Krajina forces. Battles included the Miljevci plateau incident (between Krka and Drniš), on June 21–22, 1992, Operation Jaguar at Križ Hill near Bibinje and Zadar, on May 22, 1992, and a series of military actions in the Dubrovnik hinterland: Operation Tigar, on 1–13 July 1992, in Konavle, on 20–24 September 1992, and at Vlaštica on September 22–25, 1992. Combat near Dubrovnik was followed by the withdrawal of JNA from Konavle, between September 30 and October 20, 1992. The Prevlaka peninsula guarding entrance to the Bay of Kotor was demilitarized and turned over to the UNPROFOR, while the remainder of Konavle was restored to the Croatian authorities. Fighting was renewed at the beginning of 1993, as the Croatian army launched Operation Maslenica, an offensive operation in the Zadar area on January 22. The objective of the attack was to improve the strategic situation in that area, as it targeted the city airport and the Maslenica Bridge, the last entirely overland link between Zagreb and the city of Zadar until the bridge area was captured in September 1991. The attack proved successful as it met its declared objectives, but at a high cost, as 114 Croat and 490 Serb soldiers were killed in a relatively limited theater of operations. While Operation Maslenica was in progress, Croatian forces attacked Serb positions 130 kilometers (81 mi) to the east. They advanced towards the Peruća Hydroelectric Dam and captured it by January 28, 1993, shortly after Serb militiamen chased away the UN peacekeepers protecting the dam. UN forces had been present at the site since the summer of 1992. They discovered that the Serbs had planted 35 to 37 tons of explosives spread over seven different sites on the dam in a way that prevented the explosives' removal; the charges were left in place. Retreating Serb forces detonated three of explosive charges totaling 5 tons within the 65-meter (213 ft) high dam in an attempt to cause it to fail and flood the area downstream. The disaster was prevented by Mark Nicholas Gray, a colonel in the British Royal Marines, a lieutenant at the time, who was a UN military observer at the site. He risked being disciplined for acting beyond his authority by lowering the reservoir level, which held 0.54 cubic kilometers (0.13 cu mi) of water, before the dam was blown up. His action saved the lives of 20,000 people who would otherwise have drowned or become homeless. Operation Medak Pocket took place in a salient south of Gospić, from September 9–17. The offensive was undertaken by the Croatian army to stop Serbian artillery in the area from shelling nearby Gospić. The operation met its stated objective of removing the artillery threat, as Croatian troops overran the salient, but it was marred by war crimes. The ICTY later indicted Croatian officers for war crimes. The operation was halted amid international pressure, and an agreement was reached that the Croatian troops were to withdraw to positions held prior to September 9, while UN troops were to occupy the salient alone. The events that followed remain controversial, as Canadian authorities reported that the Croatian army intermittently fought against the advancing Canadian Princess Patricia's Canadian Light Infantry before finally retreating after sustaining 27 fatalities. The Croatian ministry of defense and UN officer's testimonies given during the Ademi-Norac trial deny that the battle occurred. On February 18, 1993, Croatian authorities signed the Daruvar Agreement with local Serb leaders in Western Slavonia. The aim of the secret agreement was normalizing life for local populations near the frontline. However, authorities in Knin learned of this and arrested the Serb leaders responsible. In June 1993, Serbs began voting in a referendum on merging Krajina territory with Republika Srpska. Milan Martić, acting as the RSK interior minister, advocated a merger of the "two Serbian states as the first stage in the establishment of a state of all Serbs" in his April 3 letter to the Assembly of the Republika Srpska. On January 21, 1994, Martić stated that he would "speed up the process of unification and pass on the baton to all Serbian leader Slobodan Milošević" if elected president of the RSK." These intentions were countered by the United Nations Security Council (UNSC) Resolution 871 in October 1993, when the UNSC affirmed for the first time that the United Nations Protected Areas, i.e. the RSK held areas, were an integral part of the Republic of Croatia. During 1992 and 1993, an estimated 225,000 Croats, as well as refugees from Bosnia and Herzegovina and Serbia, settled in Croatia. Croatian volunteers and some conscripted soldiers participated in the war in Bosnia and Herzegovina. In September 1992, Croatia had accepted 335,985 refugees from Bosnia and Herzegovina, most of whom were Bosniak civilians (excluding men of drafting age). The large number of refugees significantly strained the Croatian economy and infrastructure. The American Ambassador to Croatia, Peter Galbraith, tried to put the number of Muslim refugees in Croatia into a proper perspective in an interview on 8 November 1993. He said the situation would be the equivalent of the United States taking in 30,000,000 refugees. In 1992, the Croat-Bosniak conflict erupted in Bosnia and Herzegovina, just as each was fighting with the Bosnian Serbs. The war was originally fought between the Croatian Defence Council and Croatian volunteer troops on one side and the Army of the Republic of Bosnia and Herzegovina (ARBiH) on the other, but by 1994, the Croatian Army had an estimated 3,000 to 5,000 troops involved in the fighting. Under pressure from the United States, the belligerents agreed on a truce in late February, followed by a meeting of Croatian, Bosnian, and Bosnian Croat representatives with US Secretary of State Warren Christopher in Washington, D.C. on February 26, 1994. On March 4, Franjo Tuđman endorsed the agreement providing for the creation of Federation of Bosnia and Herzegovina and an alliance between Bosnian and Croatian armies against the Serb forces. This led to the dismantling of Herzeg-Bosnia and reduced the number of warring factions in Bosnia and Herzegovina from three to two. In late 1994, the Croatian Army intervened in Bosnia from November 1–3, in Operation Cincar near Kupres, and from November 29 – December 24 in the Winter '94 operation near Dinara and Livno. These operations were undertaken to detract from the siege of the Bihać region and to approach the RSK capital of Knin from the north, isolating it on three sides. During this time, unsuccessful negotiations mediated by the UN were under way between the Croatian and RSK governments. The matters under discussion included opening the Serb-occupied part of the Zagreb–Slavonski Brod motorway near Okučani to transit traffic, as well as the putative status of Serbian-majority areas within Croatia. The motorway initially reopened at the end of 1994, but it was soon closed again due to security issues. Repeated failures to resolve the two disputes would serve as triggers for major Croatian offensives in 1995. At the same time, the Krajina army continued the Siege of Bihać, together with the Army of Republika Srpska from Bosnia. Michael Williams, an official of the UN peacekeeping force, said that when the village of Vedro Polje west of Bihać had fallen to a RSK unit in late November 1994, the siege entered the final stage. He added that heavy tank and artillery fire against the town of Velika Kladuša in the north of the Bihać enclave was coming from the RSK. Western military analysts said that among the array of Serbian surface-to-air missile systems that surround the Bihać pocket on Croatian territory, there was a modern SAM-2 system probably brought there from Belgrade. In response to the situation, the Security Council passed Resolution 958, which allowed NATO aircraft deployed as a part of the Operation Deny Flight to operate in Croatia. On November 21, NATO attacked the Udbina airfield controlled by the RSK, temporarily disabling runways. Following the Udbina strike, NATO continued to launch strikes in the area, and on November 23, after a NATO reconnaissance plane was illuminated by the radar of a surface-to-air missile (SAM) system, NATO planes attacked a SAM site near Dvor with AGM-88 HARM anti-radiation missiles. 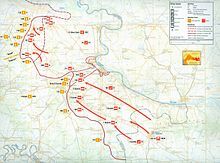 In later campaigns, the Croatian army would pursue a variant of blitzkrieg tactics, with the Guard brigades punching through the enemy lines while the other units simply held the lines at other points and completed an encirclement of the enemy units. In a further attempt to bolster its armed forces, Croatia hired Military Professional Resources Inc. (MPRI) in September 1994 to train some of its officers and NCOs. Begun in January 1995, MPRI's assignment involved fifteen advisors who taught basic officer leadership skills and training management. MPRI activities were reviewed in advance by the US State Department to ensure they did not involve tactical training or violate the UN arms embargo still in place. ... regarding the situation in Croatia, and to respect strictly its territorial integrity, and in this regard concludes that their activities aimed at achieving the integration of the occupied territories of Croatia into the administrative, military, educational, transportation and communication systems of the Federal Republic of Yugoslavia (Serbia and Montenegro) are illegal, null and void, and must cease immediately. International peacemaking efforts continued, and a new peace plan called the Z-4 plan was presented to Croatian and Krajina authorities. There was no initial Croatian response, and the Serbs flatly refused the proposal. As the deadline for UNPROFOR to pull out neared, a new UN peacekeeping mission was proposed with an increased mandate to patrol Croatia's internationally recognized borders. Initially the Serbs opposed the move, and tanks were moved from Serbia into eastern Croatia. A settlement was finally reached, and the new UN peacekeeping mission was approved by United Nations Security Council Resolution 981 on March 31. The name of the mission was the subject of a last-minute dispute, as Croatian Foreign Minister Mate Granić insisted that the word Croatia be added to the force's name. The name United Nations Confidence Restoration Operation in Croatia (UNCRO) was approved. Violence erupted again in early May 1995. The RSK lost support from the Serbian government in Belgrade, partly as a result of international pressure. At the same time, the Croatian Operation Flash reclaimed all of the previously occupied territory in Western Slavonia. In retaliation, Serb forces attacked Zagreb with rockets, killing 7 and wounding over 200 civilians. The Yugoslav army responded to the offensive with a show of force, moving tanks towards the Croatian border, in an apparent effort to stave off a possible attack on the occupied area in Eastern Slavonia. During the following months, international efforts mainly concerned the largely unsuccessful United Nations Safe Areas set up in Bosnia and Herzegovina and trying to set up a more lasting ceasefire in Croatia. The two issues virtually merged by July 1995 when a number of the safe areas in eastern Bosnia and Herzegovina were overrun and one in Bihać was threatened. In 1994, Croatia had already signaled that it would not allow Bihać to be captured, and a new confidence in the Croatian military's ability to recapture occupied areas brought about a demand from Croatian authorities that no further ceasefires were to be negotiated; the occupied territories would be re-integrated into Croatia. These developments and the Washington Agreement, a ceasefire signed in the Bosnian theater, led to another meeting of presidents of Croatia and Bosnia and Herzegovina on 22 July, when the Split Agreement was adopted. In it, Bosnia and Herzegovina invited Croatia to provide military and other assistance, particularly in the Bihać area. Croatia accepted, committing itself to an armed intervention. From 25–30 July, the Croatian Army and Croatian Defence Council (HVO) troops attacked Serb-held territory north of Mount Dinara, capturing Bosansko Grahovo and Glamoč during Operation Summer '95. That offensive paved the way for the military recapture of occupied territory around Knin, as it severed the last efficient resupply route between Banja Luka and Knin. On 4 August, Croatia started Operation Storm, with the aim of recapturing almost all of the occupied territory in Croatia, except for a comparatively small strip of land, located along the Danube, at a considerable distance from the bulk of the contested land. The offensive, involving 100,000 Croatian soldiers, was the largest single land battle fought in Europe since World War II. Operation Storm achieved its goals and was declared completed on 8 August. Many of the civilian population of the occupied areas fled during the offensive or immediately after its completion, in what was later described in various terms ranging from expulsion to planned evacuation. Krajina Serb sources (Documents of HQ of Civilian Protection of RSK, Supreme Council of Defense published by Kovačević, Sekulić, and Vrcelj) confirm that the evacuation of Serbs was organized and planned beforehand. According to Amnesty International, "some 200,000 Croatian Serbs, including the entire Croatian Serb Army, fled to the neighbouring Federal Republic of Yugoslavia and areas of Bosnia and Herzegovina under Bosnian Serb control. In the aftermath of the operations members of the Croatian Army and police murdered, tortured, and forcibly expelled Croatian Serb civilians who had remained in the area as well as members of the withdrawing Croatian Serb armed forces". The ICTY, on the other hand, concluded that only about 20,000 people were deported. The BBC noted 200,000 Serb refugees at one point. Croatian refugees exiled in 1991 were finally allowed to return to their homes. In 1996 alone, about 85,000 displaced Croats returned to the former Krajina and western Slavonia, according to the estimates of the U.S. Committee for Refugees and Immigrants. In the months that followed, there were still some intermittent, mainly artillery, attacks from Serb-held areas in Bosnia and Herzegovina on the Dubrovnik area and elsewhere. The remaining Serb-held area in Croatia, in Eastern Slavonia, was faced with the possibility of military confrontation with Croatia. Such a possibility was repeatedly stated by Tuđman after Storm. The threat was underlined by the movement of troops to the region in mid-October, as well as a repeat of an earlier threat to intervene militarily—specifically saying that the Croatian Army could intervene if no peace agreement was reached by the end of the month. Further combat was averted on 12 November when the Erdut Agreement was signed by the RSK acting defense minister Milan Milanović, on instructions received from Slobodan Milošević and Federal Republic of Yugoslavia officials. The agreement stated that the remaining occupied area was to be returned to Croatia, with a two-year transitional period. The new UN mission was established as the United Nations Transitional Authority for Eastern Slavonia, Baranja and Western Sirmium (UNTAES) by United Nations Security Council Resolution 1037 of 15 January 1996. The agreement guarantees also right of establishment of Joint Council of Municipalities for local Serbian community. The transitional period was subsequently extended by a year. On 15 January 1998, the UNTAES mandate ended and Croatia regained full control of the area. As the UNTAES replaced the UNCRO mission, Prevlaka peninsula, previously under UNCRO control, was put under control of United Nations Mission of Observers in Prevlaka (UNMOP). The UNMOP was established by United Nations Security Council Resolution 1038 of 15 January 1996, and terminated on 15 December 2002. The standard term applied to the war as directly translated from the Croatian language is Homeland war (Croatian: Domovinski rat), while the term Croatian War of Independence is also used. Early English language sources also called it the War in Croatia, the Serbo-Croatian War, and the Conflict in Yugoslavia. Different translations of the Croatian name for the war are also sometimes used, such as Patriotic War, although such use by native speakers of English is rare. The official term used in the Croatian language is the most widespread name used in Croatia but other terms are also used. Another is Greater-Serbian Aggression (Croatian: Velikosrpska agresija). The term was widely used by the media during the war, and is still sometimes used by the Croatian media, politicians and others. Two views exist as to whether the war was a civil or an international war. The government of Serbia often uses the term civil war. The prevailing view in Croatia and of most international law experts, including both international courts ICTY and ICJ, is that the war was an international conflict, between the rump Yugoslavia and Serbia against Croatia, supported by Serbs in Croatia. Neither Croatia nor Yugoslavia ever formally declared war on each other. Unlike the Serbian position that the conflict need not be declared as it was a civil war, the Croatian motivation for not declaring war was that Tuđman believed that Croatia could not confront the JNA directly and did everything to avoid an all-out war. All acts and omissions charged as Grave Breaches of the Geneva Conventions of 1949 occurred during the international armed conflict and partial occupation of Croatia. ... Displaced persons were not allowed to return to their homes and those few Croats and other non-Serbs who had remained in the Serb-occupied areas were expelled in the following months. The territory of the RSK remained under Serb occupation until large portions of it were retaken by Croatian forces in two operations in 1995. The remaining area of Serb control in Eastern Slavonia was peacefully re-integrated into Croatia in 1998. Most sources place the total number of deaths from the war at around 20,000. According to the head of the Croatian Commission for Missing Persons, Colonel Ivan Grujić, Croatia suffered 12,000 killed or missing, including 6,788 soldiers and 4,508 civilians. Another source gives a figure of 14,000 killed on the Croatian side, of whom 43.4% were civilians. Official figures from 1996 also list 35,000 wounded. Ivo Goldstein mentions 13,583 killed or missing, while Anglo-Croatian historian Marko Attila Hoare reports the number to be 15,970. Close to 2,400 persons were reported missing during the war. As of 2010, the Croatian government was seeking information on 1,997 persons missing since the war. As of 2009, there were more than 52,000 persons in Croatia registered as disabled due to their participation in the war. This figure includes not only those disabled physically due to wounds or injuries sustained, but also persons whose health deteriorated due to their involvement in the war, including diagnoses of chronic diseases such as cardiovascular disease, as well as posttraumatic stress disorder (PTSD). In 2010, the number of war-related PTSD-diagnosed persons was 32,000. In total, the war caused 500,000 refugees and displaced persons. Around 196,000 to 247,000 (in 1993) Croats and other non-Serbs were displaced during the war from or around the RSK. The Organization for Security and Co-operation in Europe (OSCE) said that 221,000 were displaced in 2006, of which 218,000 had returned. The majority were displaced during the initial fighting and during the JNA offensives of 1991 and 1992. Some 150,000 Croats from Republika Srpska and Serbia have obtained Croatian citizenship since 1991, many due to incidents like the expulsions in Hrtkovci. Destroyed Serbian house in Croatia. Most Serbians fled during the Operation Storm in 1995. The Belgrade-based non-government organization Veritas lists 6,827 killed and missing from the Republic of Serbian Krajina, including 4,177 combatants and 2,650 civilians, and 307 JNA members who were from Croatia. Most of them were killed or went missing in 1991 (2,729) and 1995 (2,348). The most deaths occurred in Northern Dalmatia (1,605). The JNA has officially acknowledged 1,279 killed in action. The actual number was probably considerably greater, since casualties were consistently underreported. In one example, official reports spoke of two slightly wounded soldiers after an engagement, however, according to the unit's intelligence officer, the actual number was 50 killed and 150 wounded. According to Serbian sources, some 120,000 Serbs were displaced from 1991 to 1993, and 250,000 were displaced after Operation Storm. The number of displaced Serbs was 254,000 in 1993, dropping to 97,000 in the early 1995 and then increasing again to 200,000 by the end of the year. Most international sources place the total number of Serbs displaced at around 300,000. According to Amnesty International 300,000 were displaced from 1991 to 1995, of which 117,000 were officially registered as having returned as of 2005. According to the OSCE, 300,000 were displaced during the war, of which 120,000 were officially registered as having returned as of 2006. However, it is believed the number does not accurately reflect the number of returnees, because many returned to Serbia, Montenegro, or Bosnia and Herzegovina after officially registering in Croatia. According to the UNHCR in 2008, 125,000 were registered as having returned to Croatia, of whom 55,000 remained permanently. The Croatian Association of Prisoners in Serbian Concentration Camps and Croatian Disabled Homeland War Veterans Association were founded to help victims of prison abuse. Official figures on wartime damage published in Croatia in 1996 specify 180,000 destroyed housing units, 25% of the Croatian economy destroyed, and US$27 billion of material damage. Europe Review 2003/04 estimated the war damage at US$37 billion in damaged infrastructure, lost economic output, and refugee-related costs, while GDP dropped 21% in the period. 15 percent of housing units and 2,423 cultural heritage structures, including 495 sacral structures, were destroyed or damaged. The war imposed an additional economic burden of very high military expenditures. By 1994, as Croatia rapidly developed into a de facto war economy, the military consumed as much as 60 percent of total government spending. Yugoslav and Serbian expenditures during the war were even more disproportionate. The federal budget proposal for 1992 earmarked 81 percent of funds to be diverted into the Serbian war effort. Since a substantial part of the federal budgets prior to 1992 was provided by Slovenia and Croatia, the most developed republics of Yugoslavia, a lack of federal income quickly led to desperate printing of money to finance government operations. That in turn produced the worst episode of hyperinflation in history: Between October 1993 and January 1995, Yugoslavia, which then consisted of Serbia and Montenegro, suffered through a hyperinflation of five quadrillion percent. Many Croatian cities were attacked by artillery, missiles, and aircraft bombs by RSK or JNA forces from RSK or Serb-controlled areas in Bosnia and Herzegovina, as well as Montenegro and Serbia. The most shelled cities were Vukovar, Slavonski Brod (from the mountain of Vučjak), and Županja (for more than 1,000 days), Vinkovci, Osijek, Nova Gradiška, Novska, Daruvar, Pakrac, Šibenik, Sisak, Dubrovnik, Zadar, Gospić, Karlovac, Biograd na moru, Slavonski Šamac, Ogulin, Duga Resa, Otočac, Ilok, Beli Manastir, Lučko, Zagreb, and others Slavonski Brod was never directly attacked by tanks or infantry, but the city and its surrounding villages were hit by more than 11,600 artillery shells and 130 aircraft bombs in 1991 and 1992. Approximately 2 million mines were laid in various areas of Croatia during the war. Most of the minefields were laid with no pattern or any type of record being made of the position of the mines. A decade after the war, in 2005, there were still about 250,000 mines buried along the former front lines, along some segments of the international borders, especially near Bihać, and around some former JNA facilities. As of 2007, the area still containing or suspected of containing mines encompassed approximately 1,000 square kilometers (390 sq mi). More than 1,900 people were killed or injured by land mines in Croatia since the beginning of the war, including more than 500 killed or injured by mines after the end of the war. Between 1998 and 2005, Croatia spent €214 million on various mine action programs. As of 2009, all remaining minefields are clearly marked. During the 2015 European migrant crisis, there existed concerns over areas where mines could affect the flow of refugees coming from Serbia to Croatia. The International Criminal Tribunal for the former Yugoslavia (ICTY) was established by UN Security Council Resolution 827, which was passed on 25 May 1993. The court has power to prosecute persons responsible for serious violations of international humanitarian law, breaches of the Geneva Conventions, violating the laws or customs of war, committing genocide, and crimes against humanity committed in the territory of the former SFR Yugoslavia since 1 January 1991. The indictees by ICTY ranged from common soldiers to Prime Ministers and Presidents. Some high-level indictees included Slobodan Milošević (President of Serbia), Milan Babić (president of the RSK), and Ante Gotovina (general of the Croatian Army). Franjo Tuđman (President of Croatia) died in 1999 of cancer while the ICTY's prosecutors were still investigating him. According to Marko Attila Hoare, a former employee at the ICTY, an investigative team worked on indictments of senior members of the "joint criminal enterprise", including not only Milošević, but Veljko Kadijević, Blagoje Adžić, Borisav Jović, Branko Kostić, Momir Bulatović and others. These drafts were rejected, reportedly upon the intervention of Carla del Ponte and the indictment limited to Milošević. Between 1991 and 1995, Martić held positions of minister of interior, minister of defense and president of the self-proclaimed "Serbian Autonomous Region of Krajina" (SAO Krajina), which was later renamed "Republic of Serbian Krajina" (RSK). He was found to have participated during this period in a joint criminal enterprise which included Slobodan Milošević, whose aim was to create a unified Serbian state through commission of a widespread and systematic campaign of crimes against non-Serbs inhabiting areas in Croatia and Bosnia and Herzegovina envisaged to become parts of such a state. As of 2018, the ICTY has convicted seven officials from the Serb/Montenegrin side and nobody from the Croatian side. Milan Martić received the largest sentence: 35 years in prison. Babić received 13 years. He expressed remorse for his role in the war, asking his "Croat brothers to forgive him". In 2007, two former Yugoslav army officers were sentenced for the Vukovar massacre at the ICTY in The Hague. Veselin Šljivančanin was sentenced to 10 years and Mile Mrkšić to 20 years in prison. Prosecutors stated that following the capture of Vukovar, the JNA handed over several hundred Croats to Serbian forces. Of these, at least 264 (mostly injured soldiers, but also two women and a 16-year-old child) were murdered and buried in mass graves in the neighborhood of Ovčara, on the outskirts of Vukovar. The city's mayor, Slavko Dokmanović, was brought to trial at the ICTY, but committed suicide in 1998 in captivity before proceedings began. Generals Pavle Strugar and Miodrag Jokić were sentenced by the ICTY to eight and seven years, respectively, for shelling Dubrovnik. A third indictee, Vladimir Kovačević, was declared mentally unfit to stand trial. The Yugoslav Army's Chief of the General Staff, Momčilo Perišić, was charged with aiding and abetting war crimes but eventually acquitted on all charges. Ex-RSK President Goran Hadžić died during the trial. In 2018, Vojislav Šešelj was sentenced to 10 years for crimes against humanity perpetrated through persecution and deportation of Croats from Vojvodina in 1992, while he was also given an additional cumulative sentence of 4 years and 9 months for contempt of court. As of 2018, the trials of Jovica Stanišić and Franko Simatović and are still pending. A number of Croat civilians in hospitals and shelters marked with a red cross were targeted by Serb forces. There were numerous well-documented war crimes against civilians and prisoners of war perpetrated by Serb and Yugoslav forces in Croatia: the Dalj killings, the Lovas massacre, the Široka Kula massacre, the Baćin massacre, the Saborsko massacre, the Škabrnja massacre, the Voćin massacre, and the Zagreb rocket attacks. The ICTY (left) convicted numerous individuals for their role in the war. Milošević (middle) became the first former head of state of any country brought before an international criminal tribunal, but died before a verdict was reached. Mile Mrkšić (right) received 20 years. There were a number of prison camps where Croatian POWs and civilians were detained, including the Sremska Mitrovica camp, the Stajićevo camp, and the Begejci camp in Serbia, and the Morinj camp in Montenegro. The Croatian Association of Prisoners in Serbian Concentration Camps was later founded in order to help the victims of prison abuse. The Croatian Army established detention camps, like Lora prison camp in Split. Croatian war crimes included the Gospić massacre, the killings in Sisak in 1991 and 1992, and others, which were likewise prosecuted by Croatian courts or the ICTY. Another infamous instance of war crimes, in what would later become known as the "Pakračka poljana" case, committed by a reserve police unit commanded by Tomislav Merčep, involved the killing of prisoners, mostly ethnic Serbs, near Pakrac in late 1991 and early 1992. The events were initially investigated by the ICTY, but the case was eventually transferred to the Croatian judiciary. More than a decade later, five members of this unit, although not its commander, were indicted on criminal charges related to these events, and convicted. Merčep was arrested for these crimes in December 2010. In 2009, Branimir Glavaš, a Croatian incumbent MP at the time, was convicted of war crimes committed in Osijek in 1991 and sentenced to jail by a Croatian court. The ICTY indicted Croatian officers Janko Bobetko, Rahim Ademi and Mirko Norac, for crimes committed during Operation Medak Pocket, but that case was also transferred to Croatian courts. Norac was found guilty and jailed for 7 years; Ademi was acquitted. Bobetko was declared unfit to stand trial due to poor health. The ICTY's indictment against General Ante Gotovina cited at least 150 Serb civilians killed in the aftermath of Operation Storm. The Croatian Helsinki Committee registered 677 Serb civilians killed in the operation. Louise Arbour, a prosecutor of the ICTY, stated that the legality and legitimacy of the Operation itself was not the issue, but that the ICTY was required to investigate whether crimes were committed during the campaign. The Trial Chamber reiterated that the legality of Operation Storm is "irrelevant" for the case at hand, since the ICTY's remit is processing war crimes. In 2011, Gotovina was sentenced to 24 and Markač to 18 years in prison. In 2012, their convictions were overturned and both were immediately released. Čermak was acquitted of all charges. In the first-degree verdict, the trial chamber found that "certain members of the Croatian political and military leadership shared the common objective of the permanent removal of the Serb civilian population from the Krajina by force or threat of force", implicating Franjo Tuđman, Gojko Šušak, who was the Minister of Defence and a close associate of Tuđman's, and Zvonimir Červenko, the Chief of the Croatian army Main Staff. Nevertheless, in the second-degree verdict, the appeals chamber dismissed the notion of such a joint criminal enterprise. The verdict meant the ICTY convicted no Croats for their role in the Croatian War of Independence. Territories controlled by Serb forces during the Yugoslav Wars. It is widely believed that Milošević tried to create Greater Serbia, which would unite all Serbs across a collapsing Yugoslavia. While Serbia and Croatia never declared war on each other, Serbia was directly and indirectly involved in the war through a number of activities. Its foremost involvement entailed material support of the JNA. Following the independence of various republics from SFR Yugoslavia, Serbia provided the bulk of manpower and funding that was channeled to the war effort through Serbian control of the Yugoslav presidency and the federal defense ministry. Serbia actively supported various paramilitary volunteer units from Serbia that were fighting in Croatia. Even though no actual fighting occurred on Serbian or Montenegrin soil, involvement of the two was evident through the maintenance of prison camps in Serbia and Montenegro, which became places where a number of war crimes were committed. Borders are always dictated by the strong, never by the weak ... We simply consider it as a legitimate right and interest of the Serb nation to live in one state. Slobodan Milošević, 16 March 1991, on the breakup of Yugoslavia. Milošević's trial at the ICTY revealed numerous declassified documents of Belgrade's involvement in the wars in Croatia and Bosnia. Evidence introduced at trial showed exactly how Serbia and the Federal Republic of Yugoslavia financed the war, that they provided weapons and material support to Bosnian and Croatian Serbs, and demonstrated the administrative and personnel structures set up to support the Bosnian Serb and Croatian Serb armies. It was established that Belgrade, through the federal government, financed more than 90 percent of the Krajina budget in 1993; that the Supreme Defense Council decided to hide aid to Republika Srpska and Krajina from the public; that the National Bank of Krajina operated as a branch office of the National Bank of Yugoslavia; and that by March 1994 FR Yugoslavia, Krajina, and Republika Srpska used a single currency. Numerous documents demonstrated that branches of the Krajina Public Accountancy Service were incorporated into Serbia's accountancy system in May 1991, and that the financing of Krajina and Republika Srpska caused hyperinflation in FR Yugoslavia. The trial revealed that the JNA, the Serbian Ministry of Interior, and other entities (including Serb civilian groups and police) armed Serb civilians and local territorial defense groups in the RSK before the conflict escalated. In 1993, the US State Department reported that right after the Maslenica and Medak pocket operations, authorities in Serbia dispatched substantial numbers of "volunteers" to Serb-held territories in Croatia to fight. A former secretary of Serbian criminal Željko Ražnatović Arkan testified at the Hague, confirming that the paramilitary leader took his orders, and his money, directly from the secret police run by Milošević. This degree of control was reflected in negotiations held at various times between Croatian authorities and the RSK, as the Serbian leadership under Milošević was regularly consulted and frequently made decisions on behalf of the RSK. The Erdut Agreement that ended the war was signed by a RSK minister on instructions from Milošević. The degree of control Serbia held over SFR Yugoslavia and later the RSK was evidenced through testimonies during the Milošević trial at the ICTY. Serbia's state-run media were reportedly used to incite the conflict and further inflame the situation, and also to broadcast false information about the war and the state of the Serbian economy. The Ovčara Massacre Memorial in Vukovar, where Serbian President Boris Tadić expressed his "apology and regret" for the 1991 Vukovar massacre in which 260 people were killed. After the successful implementation of the Erdut Agreement which ended armed conflict in 1995, the relations between Croatia and Serbia gradually improved and the two countries established diplomatic relations in 1996. In a case before the International Court of Justice, Croatia filed a suit against the Federal Republic of Yugoslavia on 2 July 1999, citing Article IX of the Convention on the Prevention and Punishment of the Crime of Genocide. With the transformation of the Federal Republic of Yugoslavia into Serbia and Montenegro and the dissolution of that country in 2006, Serbia is considered its legal successor. The application was filed for Croatia by a U.S. lawyer, David B. Rivkin. Serbia reciprocated with the genocide lawsuit against the Republic of Croatia on 4 January 2010. The Serbian application covers missing people, killed people, refugees, expelled people, and all military actions and concentration camps with a historical account of World War II persecution of Serbs committed by the Independent State of Croatia during World War II. By 2010, Croatia and Serbia further improved their relations through an agreement to resolve remaining refugee issues, and visits of Croatian President Ivo Josipović to Belgrade, and of the Serbian President Boris Tadić to Zagreb and Vukovar. During their meeting in Vukovar, President Tadić gave a statement expressing his "apology and regret", while President Josipović said "that no crimes committed at the time would go unpunished." The statements were made during a joint visit to the Ovčara memorial center, site of the Vukovar massacre. The war developed at a time when the attention of the United States and the world was on Iraq, and the Gulf War in 1991, along with a sharp rise in oil prices and a slowdown in the growth of the world economy. Between 19 and 23 December, several other European countries, beginning with Germany and the Vatican City, followed by Sweden and Italy, announced their recognition of Croatia's (and Slovenia's) independence. The European Union as a whole recognized the independence of the two republics on 15 January 1992. Germany – up until 1991, Germany supported a 'status quo'. According to diplomat Gerhard Almer, the Yugoslav disintegration was feared as "a bad example for the dissolution of the Soviet Union", sparking fears that violence could also be used against the nations that were about to declare independence from the Soviet Union. During the war, this policy changed, when Helmut Kohl announced that Germany recognized Slovenia and Croatia as independent countries. United Kingdom – John Major's government favoured neutrality. United States – The United States, under George H. W. Bush, tended to favour non-intervention at first, just like the United Kingdom. In contrast, from 1993, the administration led by Bill Clinton tended to engage itself in order to end the conflicts in the former Yugoslavia. Cyrus Vance supported the 'integrity of Yugoslavia'. Russia – The Russian government under Boris Yeltsin tended to oppose recognition of Croatia although Russia recognized Croatia on 17 February 1992, while the United States did the same on 7 April 1992. ^ As determined by the Badinter Arbitration Committee, SFR Yugoslavia dissolved during the war. On 25 June 1991, the Croatian parliament declared the independence of Croatia, following a referendum held in May. The decision was suspended for three months; the declaration became effective on 8 October 1991, and Croatia was no longer part of Yugoslavia. ^ Bosnia and Herzegovina was particularly significant for the war in late 1994 and in 1995. Pursuant to the Washington Agreement, the Federation of Bosnia and Herzegovina was formed as a subunit of the Republic of Bosnia and Herzegovina (RBiH) representing both Bosnian Croat and Bosniak (Bosnian Muslim) ethnic groups. Most significantly, the Washington Agreement specifically permitted Croatian Army to enter Bosnia and Herzegovina, thereby allowing operations Cincar and Winter '94 against the army of Republika Srpska, outflanking the RSK capital at Knin and creating a new strategic situation before the decisive battles of the war. ^ After all former Yugoslav federal republics except Serbia and Montenegro declared independence, the two declared the creation of a new country — the Federal Republic of Yugoslavia — on 27 April 1992, disbanding the JNA soon afterwards. Serb-controlled units of the JNA participated in combat operations throughout 1991 and up to May 1992 in support of the Republic of Serbian Krajina. ^ Initially, SAO Krajina, SAO Western Slavonia, and SAO Eastern Slavonia, Baranja and Western Syrmia were separate entities and fought individually against the Croatian government. As of December 19, 1991, the SAOs became part of the RSK. ^ In 1992–94, Republika Srpska was intermittently involved in Croatian military operations, mostly through provision of military and other aid to the RSK, occasional air raids launched from Mahovljani airbase near Banja Luka, and most significantly through artillery attacks against a number of cities in Croatia, especially Slavonski Brod, Županja, and Dubrovnik. ^ There was no formal declaration of war. The first armed clash of the war was the Pakrac clash on 1 March 1991, followed by the Plitvice Lakes incident on 31 March 1991, when the first fatalities occurred. The last major combat operation was Operation Storm, from 5–8 August 1995. Formally, hostilities ceased when the Erdut Agreement was signed on 12 November 1995. ^ There were also some conflicts in Bosnia and Herzegovina, particularly in late 1994 and early 1995. Among those, the most significant to the course of the war were Cincar, and Operation Winter '94. ^ Three months after the military defeat of the RSK in Operation Storm, the UN-sponsored Erdut Agreement between the Croatian and RSK authorities was signed on 12 November 1995. The agreement provided for a two-year transitional period, later extended by a year, during which the remaining occupied territory of Croatia was to be transferred to control of the Croatian government. The agreement was implemented by UNTAES and successfully completed by 1998. ^ a b Allain Pellet (1992). "The Opinions of the Badinter Arbitration Committee: A Second Breath for the Self-Determination of Peoples" (PDF). European Journal of International Law. 3 (1): 178–185. Archived from the original (PDF) on May 29, 2011. ^ a b Chuck Sudetic (June 26, 1991). "2 Yugoslav States Vote Independence To Press Demands". The New York Times. Archived from the original on July 29, 2012. Retrieved 12 December 2010. ^ a b c Chuck Sudetic (June 29, 1991). "Conflict in Yugoslavia; 2 Yugoslav States Agree to Suspend Secession Process". The New York Times. Retrieved December 12, 2010. ^ a b "Ceremonial session of the Croatian Parliament on the occasion of the Day of Independence of the Republic of Croatia". Official web site of the Parliament of Croatia. Sabor. October 7, 2004. Archived from the original on August 7, 2012. Retrieved July 29, 2012. ^ a b Steven Greenhouse (March 18, 1994). "Muslims and Bosnian Croats Give Birth to a New Federation". The New York Times. Retrieved December 17, 2010. ^ "Two Republics Transform Selves Into a New, Smaller Yugoslavia". The Los Angeles Times. Associated Press. April 28, 1992. Retrieved January 7, 2011. ^ a b c d e Chuck Sudetic (January 3, 1992). "Yugoslav Factions Agree to U.N. Plan to Halt Civil War". The New York Times. Retrieved December 16, 2010. ^ Peter Maass (July 16, 1992). "Serb Artillery Hits Refugees – At Least 8 Die As Shells Hit Packed Stadium". The Seattle Times. Retrieved December 23, 2010. ^ a b Raymond Bonner (August 17, 1995). "Dubrovnik Finds Hint of Deja Vu in Serbian Artillery". The New York Times. Retrieved December 18, 2010. ^ a b Stephen Engelberg (March 3, 1991). "Belgrade Sends Troops to Croatia Town". The New York Times. Retrieved December 11, 2010. ^ a b Chuck Sudetic (April 1, 1991). "Deadly Clash in a Yugoslav Republic". The New York Times. Retrieved December 11, 2010. ^ a b c d e f Dean E. Murphy (August 8, 1995). "Croats Declare Victory, End Blitz". Los Angeles Times. Retrieved December 18, 2010. ^ a b c d e f g Chris Hedges (November 12, 1995). "Serbs in Croatia Resolve Key Issue by Giving up Land". The New York Times. Retrieved December 18, 2010. ^ a b Chuck Sudetic (November 4, 1994). "Bosnian Army and Croats Drive Serbs Out of a Town". The New York Times. Retrieved December 17, 2010. ^ a b Roger Cohen (January 12, 1995). "Croatia Is Set to End Mandate Of U.N. Force on Its Territory". The New York Times. Retrieved December 17, 2010. ^ a b c Chris Hedges (January 16, 1998). "An Ethnic Morass Is Returned to Croatia". The New York Times. Retrieved December 18, 2010. ^ "Centar domovinskog rata - 1995". Archived from the original on November 19, 2012. Retrieved July 17, 2012. ^ "Utjecaj srbijanske agresije na stanovništvo Hrvatske". ^ a b "Martic Witness Details Croatian War Casualties". Global Voices BALKANS. Retrieved April 13, 2006. ^ a b Marko Attila Hoare (April 2008). "Genocide in Bosnia and the failure of international justice" (PDF). Kingston University. Archived from the original (PDF) on August 7, 2012. Retrieved March 23, 2011. ^ "SUMMARY OF JUDGEMENT FOR MILAN MARTIĆ". Archived from the original on December 15, 2007. Retrieved August 2, 2018. ^ a b "Srpske žrtve rata i poraća na području Hrvatske i bivše RSK 1990. – 1998. godine". Veritas. Retrieved June 16, 2015. ^ a b c Darko Zubrinic. "Croatia within ex-Yugoslavia". Croatianhistory.net. Retrieved February 7, 2010. ^ a b Mirko Bilandžić (July 2008). "Hrvatska vojska u međunarodnim odnosima" [Croatian Army in International Relations (English language summary)]. Polemos: časopis za interdisciplinarna istraživanja rata i mira (in Croatian). Croatian Sociological Association and Jesenski & Turk Publishing House. 11 (22). ISSN 1331-5595. Retrieved December 21, 2010. ^ a b "Srbija-Hrvatska, temelj stabilnosti" [Serbia-Croatia, foundation of stability] (in Serbian). B92. November 4, 2010. Archived from the original on November 8, 2010. Retrieved December 22, 2010. "The Trial Chamber found that the evidence showed that the President of Serbia, Slobodan Milošević, openly supported the preservation of Yugoslavia as a federation of which the SAO Krajina would form a part. However, the evidence established that Milošević covertly intended to create a Serb state. This state was to be created through the establishment of paramilitary forces and the provocation of incidents in order to create a situation where the JNA could intervene. Initially, the JNA would intervene to separate the parties but subsequently the JNA would intervene to secure the territories envisaged to be part of a future Serb state." ^ a b c d e f "Final report of the United Nations Commission of Experts established pursuant to security council resolution 780 (1992), Annex IV – The policy of ethnic cleansing; Prepared by: M. Cherif Bassiouni". United Nations. December 28, 1994. Archived from the original on May 4, 2012. Retrieved March 19, 2011. "In the period of the Indictment, from circa 1 August 1991 to 15 February 1992, Serb forces consisting of JNA units, local Serb TO units, TO units from Serbia and Montenegro, local MUP police units, MUP police units from Serbia, and paramilitary units attacked and took control of towns, villages, and settlements ... These acts were intended to permanently and forcibly remove the majority of the Croat and other non-Serb populations from approximately one-third of Croatia in order to transform that territory into a Serb-dominated state." ^ Chuck Sudetic (August 5, 1991). "Serbs Refuse to Negotiate in Croatia". The New York Times. Retrieved January 24, 2011. ^ a b "Croatia Clashes Rise; Mediators Pessimistic". The New York Times. December 19, 1991. Archived from the original on July 29, 2012. Retrieved July 29, 2012. ^ a b "Serb-Led Presidency Drafts Plan For New and Smaller Yugoslavia". The New York Times. December 27, 1991. Retrieved December 16, 2010. ^ Bjelajac et al. 2009, p. 241. ^ a b c d Stephen Kinzer (December 24, 1991). "Slovenia and Croatia Get Bonn's Nod". The New York Times. Archived from the original on July 29, 2012. Retrieved July 29, 2012. ^ a b Paul L. Montgomery (May 23, 1992). "3 Ex-Yugoslav Republics Are Accepted Into U.N." The New York Times. Archived from the original on July 29, 2012. Retrieved July 29, 2012. ^ a b United Nations Security Council Resolution 743. S/RES/743(1992) February 21, 1992. Retrieved April 10, 2008. ^ a b "Republika Hrvatska i Domovinski rat 1990. – 1995. dokumenti" [Republic of Croatian and the Croatian War of Independence 1990–1995, documents] (in Croatian). Profil. Archived from the original on May 22, 2011. Retrieved January 20, 2011. ^ a b Roger Cohen (May 2, 1995). "Croatia Hits Area Rebel Serbs Hold, Crossing U.N. Lines". The New York Times. Retrieved December 18, 2010. ^ a b "Presidents apologise over Croatian war". BBC News. BBC. September 10, 2003. Retrieved February 7, 2010. ^ a b "UN agency welcomes Serbia-Croatia agreement on refugee, return issues". United Nations. November 26, 2010. Retrieved December 18, 2010. ^ a b "Serbia and Croatia forge ties with talks in Belgrade". BBC News. BBC. July 18, 2010. Retrieved December 18, 2010. ^ a b "Milan Martić sentenced to 35 years for crimes against humanity and war crimes". International Criminal Tribunal for the former Yugoslavia. June 12, 2007. Retrieved August 24, 2010. ^ a b c d "Judgement Summary for Gotovina et al" (PDF). The Hague: International Criminal Tribunal for the former Yugoslavia. April 15, 2011. Retrieved April 15, 2011. ^ a b "Hague war court acquits Croat Generals Gotovina and Markac". BBC News. November 16, 2012. Retrieved November 16, 2012. ^ Jović 2009, p. 19. ^ Jović 2009, p. 21. ^ a b Pešić 1996, p. 12. ^ a b "Kosovo". The New York Times. July 23, 2010. Retrieved December 10, 2010. ^ Henry Kamm (December 8, 1985). "Yugoslav republic jealously guards its gains". The New York Times. Retrieved December 10, 2010. ^ "Serbia's Vojvodina Regains Autonomy". Radio Free Europe/Radio Liberty. December 15, 2009. Retrieved December 10, 2010. ^ "A Country Study: Yugoslavia (Former): Political Innovation and the 1974 Constitution (chapter 4)". The Library of Congress. Retrieved January 27, 2011. ^ Tim Judah (July 1, 2001). "Tyrant's defeat marks Serbs' day of destiny". The Guardian. Retrieved December 19, 2010. ^ Glaurdić, Josip (2011). The Hour of Europe: Western Powers and the Breakup of Yugoslavia. Yale University Press. pp. 52–53. ISBN 978-0-300-16645-3. ^ Branka Magas (December 13, 1999). "Obituary: Franjo Tudjman". The Independent. Archived from the original on July 25, 2012. Retrieved 17 October 2011. ^ Glaurdić, Josip (2011). The Hour of Europe: Western Powers and the Breakup of Yugoslavia. Yale University Press. p. 71. ISBN 978-0-300-16645-3. ^ "Račan obituary". The Times. April 30, 2007. Retrieved December 11, 2010. ^ a b c d Igor Primoratz, Aleksandar Pavković. Identity, Self-determination and Secession. Ashgate Publishing, Ltd., 2006. p158. ^ "Yugoslavia: Demonstrations in Croatia and Vojvodina". UNCHR. May 1, 1990. Archived from the original on March 24, 2012. Retrieved December 11, 2010. ^ "Evolution in Europe; Yugoslavia Hopes for Free Vote in '90". The New York Times. April 23, 1990. Retrieved December 11, 2010. ^ a b "Evolution in Europe; Conservatives Win in Croatia". The New York Times. May 9, 1990. Retrieved December 11, 2010. ^ "The Day When Maksimir Stadium Went up in Flames". Dalje.com. May 13, 2009. Archived from the original on May 8, 2011. Retrieved January 19, 2011. ^ a b Bjelajac et al. 2009, p. 239. ^ "Croatia in Yugoslavia, 1945–91". Encyclopædia Britannica. Encyclopædia Britannica, Inc. Retrieved November 18, 2010. ^ "World Directory of Minorities and Indigenous Peoples – Croatia: Overview". Minority Rights Group International. UNCHR. 2008. Archived from the original on April 16, 2013. Retrieved June 29, 2012. ^ Stephen Engelberg (September 1, 1991). "Carving out a Greater Serbia". The New York Times. Retrieved June 29, 2012. ^ "History—Territorial Defence". Slovenian Armed Forces. Retrieved December 11, 2010. ^ Kreš 2010, p. 54. ^ Kreš 2010, p. 6. ^ Bjelajac et al. 2009, pp. 237, 240. ^ Glaurdić, Josip (2011). The Hour of Europe: Western Powers and the Breakup of Yugoslavia. Yale University Press. p. 57. ISBN 978-0-300-16645-3. ^ Jović, Borisav (1995). Poslednji dani SFRJ. Belgrade: Politika. pp. 160–161. ^ a b Sabrina P. Ramet. Thinking about Yugoslavia: Scholarly Debates about the Yugoslav Breakup and the Wars in Bosnia and Kosovo. Cambridge University Press, 2005. P117. ^ a b c d e Martić verdict, pp 44–49. ^ "Milosevic Transcripts". International Criminal Tribunal for the former Yugoslavia. October 1, 2002. p. 10528. Retrieved March 5, 2011. ^ Chuck Sudetic (August 7, 1990). "Serb Minority Seek Role in a Separate Croatia". The New York Times. Retrieved December 11, 2010. ^ a b "Roads Sealed as Yugoslav Unrest Mounts". The New York Times. Reuters. August 19, 1990. Retrieved December 11, 2010. ^ "Armed Serbs Guard Highways in Croatia During Referendum". The New York Times. August 20, 1990. Retrieved December 11, 2010. ^ "IWPR news report: Martic "Provoked" Croatian Conflict". iwpr.net. Institute for War and Peace Reporting. February 17, 2006. Archived from the original on September 29, 2007. Retrieved February 7, 2010. ^ a b Chuck Sudetic (August 19, 1991). "Truce in Croatia on Edge of Collapse". The New York Times. Retrieved December 15, 2010. ^ "Milan Babić Transcript". ICTY. February 17, 2006. pp. 1504–1510. Retrieved January 10, 2011. ^ Chuck Sudetic (October 2, 1990). "Croatia's Serbs Declare Their Autonomy". The New York Times. Archived from the original on July 25, 2012. Retrieved 11 December 2010. ^ a b "Crisis in the Kremlin; Croatia Takes Right to Secede". The New York Times. Associated Press. December 22, 1990. Retrieved December 10, 2010. ^ Pešić 1996, p. 10–11[The nations'] rights to be "constitutive" were recognized not only within their respective states, but also among co-nationals inhabiting the territory of other Yugoslav republics. In some cases, these ethnic diaspora communities viewed the constitutive nature of Yugoslav nationhood as giving them the right to extend the sovereignty of their national "homeland" to the territories they inhabited. Such was the case with Serbs in Croatia, who constituted 12% of the population in 1991. Later, this status would produce enormous problems, giving Croatian Serbs the "right" to secede from Croatia, and giving Croatia the right to deny them this status by designating them as a "minority" in its new constitution. ^ "Defiant Yugoslav Republics Brace for Assault". The New York Times. Associated Press. January 20, 1991. Retrieved December 11, 2010. ^ Chuck Sudetic (January 22, 1991). "Yugoslavia Warns Croatia to Disarm Its Forces". The New York Times. Retrieved December 11, 2010. ^ Chuck Sudetic (January 25, 1991). "Defiant Croatian Republic Refuses to Disarm Paramilitary Police". The New York Times. Retrieved December 11, 2010. ^ Chuck Sudetic (January 27, 1991). "Confrontation in Yugoslavia Headed Off". The New York Times. Retrieved December 11, 2010. ^ The Death of Yugoslavia. British Broadcasting Corporation (BBC). 1995. ^ a b c Lenard J. Cohen, Jasna Dragović-Soso. State Collapse in South-Eastern Europe: New Perspectives on Yugoslavia's Disintegration. Purdue University Press, 2008. P323. ^ Final report of the United Nations Commission of Experts established pursuant to security council resolution 780 (1992) (December 28, 1994). "The military structure, strategy and tactics of the warring factions". University of the West of England. Archived from the original on February 7, 2011. Retrieved January 20, 2011. ^ Stephen Engelberg (December 23, 1991). "Yugoslav Ethnic Hatreds Raise Fears of a War Without an End". The New York Times. Retrieved December 16, 2010. ^ a b c d "69 hrvatskih civila ubijeno u Lovasu u oktobru 1991" [69 Croatian civilians killed in Lovas in October 1991] (in Serbian). B92. October 20, 2010. Retrieved December 22, 2010. ^ a b c "Final report of the United Nations Commission of Experts, established pursuant to UN Security Council resolution 780 (1992), Annex III.A Special forces; Under the Direction of: M. Cherif Bassiouni; S/1994/674/Add.2 (Vol. IV)". School of Humanities, Languages and Social Sciences (UWE). May 27, 1994. Archived from the original on October 20, 2010. Retrieved October 20, 2010. ^ "Use of mercenaries as a means of violating human rights and impeding the exercise of the right of peoples to self-determination – Note by the Secretary-General". United Nations. August 29, 1995. Retrieved January 23, 2011. ^ a b c d e f "Weighing the Evidence – Lessons from the Slobodan Milosevic Trial". Human Rights Watch. December 13, 2006. Retrieved November 18, 2010. ^ a b c d "Izjava Na Osnovu Pravila 89 (F)" [Statement Pursuant to Rule 89 (F)] (in Serbian). International Criminal Tribunal for the former Yugoslavia. November 16, 2003. Retrieved January 18, 2011. Milošević and I resolutely requested the following from Kadijević: 1. Respond to the Slovenes vigorously using all means including the air force, they must absolutely no longer be allowed to disrespect the Yugoslav People's Army. Then withdraw from Slovenia. We shall make a timely decision on that matter. In that way army morale shall be improved, Croatia shall be scared and Serbian people calmed. 2. The main YPA forces shall be grouped on Karlovac-Plitvice [Lakes] line to the West; Baranja, Osijek, Vinkovci – Sava [River] to the East and Neretva [River] in the South. In that way all territories inhabited by Serbs shall be covered until the final resolution, that is until the people freely decides in a referendum. 3. Completely eliminate Croats and Slovenes from the army. ^ Georg Mader (2006). "Croatia's embargoed air force". World Air Power Journal. London, UK: Aerospace Publishing. 24 (Spring): 145. ISBN 1-874023-66-2. ^ a b Chuck Sudetic (October 6, 1991). "Shells Still Fall on Croatian Towns Despite Truce". The New York Times. Retrieved December 16, 2010. ^ Berislav Jelinić (November 24, 2009). "Život nakon rata za tuđu domovinu" [Life after a war for a foreign homeland]. Nacional (in Croatian). NCL Media Grupa d.o.o. Archived from the original on July 22, 2012. Retrieved 23 January 2011. ^ Alan Cowell (September 24, 1991). "Serbs and Croats: Seeing War in Different Prisms". The New York Times. Retrieved December 16, 2010. ^ Dušan Stojanović (March 19, 2010). "Ex-Serb general: hero or traitor?". Boston Globe. Retrieved December 16, 2010. ^ Roger Cohen (November 5, 1994). "Arms Trafficking to Bosnia Goes On Despite Embargo". The New York Times. Retrieved December 17, 2010. ^ Stephen Engelberg (March 4, 1991). "Serb-Croat Showdown in One Village Square". The New York Times. Retrieved December 11, 2010. ^ "19th anniversary of Plitvice action commemorated". morh.hr. Ministry of Defence of the Republic of Croatia. March 31, 2010. Archived from the original on July 17, 2011. Retrieved September 11, 2010. ^ David Binder (March 18, 1991). "Serbian Official Declares Part of Croatia Separate". The New York Times. Retrieved December 11, 2010. ^ Chuck Sudetic (April 2, 1991). "Rebel Serbs Complicate Rift on Yugoslav Unity". The New York Times. Retrieved December 11, 2010. ^ a b Stephen Engelberg (May 5, 1991). "One More Dead as Clashes Continue in Yugoslavia". The New York Times. Retrieved December 11, 2010. ^ a b John Pike (October 20, 2005). "Serbo-Croatian War". GlobalSecurity.org. Retrieved February 7, 2010. ^ Celestine Bohlen (May 16, 1991). "New Crisis Grips Yugoslavia Over Rotation of Leadership". The New York Times. Retrieved December 12, 2010. ^ Celestine Bohlen (May 18, 1991). "Yugoslavia Fails to Fill Presidency". The New York Times. Retrieved December 12, 2010. ^ Chuck Sudetic (May 19, 1991). "Croatia Rejects a Yugoslav Panel". The New York Times. Retrieved December 12, 2010. ^ Chuck Sudetic (July 1, 1991). "Belgrade Orders Army to Return To Its Barracks". The New York Times. Retrieved December 12, 2010. ^ "Croatia Calls for EC-Style Yugoslavia". Los Angeles Times. July 16, 1991. Retrieved December 20, 2010. ^ Chuck Sudetic (May 20, 1991). "Croatia Votes for Sovereignty and Confederation". The New York Times. Retrieved December 12, 2010. ^ "Chronology of the homeland war". osrh.hr. Military of Croatia. Archived from the original on October 22, 2010. Retrieved December 11, 2010. ^ "Šeks: Dio lijevoga bloka odbio glasovati za samostalnost". Novi list (in Croatian). HINA. June 25, 2012. Retrieved November 29, 2012. ^ Alan Riding (June 26, 1991). "Europeans Warn on Yugoslav Split". The New York Times. Retrieved December 12, 2010. ^ Lenard J. Cohen, Jasna Dragović-Soso. State Collapse in South-Eastern Europe: New Perspectives on Yugoslavia's Disintegration. Purdue University Press, 2008. Pp. 323. ^ a b "Army Leaves More Towns in Croatia". Los Angeles Times. September 29, 1991. Retrieved December 13, 2010. ^ a b Charles T. Powers (August 1, 1991). "Serbian Forces Press Fight for Major Chunk of Croatia". Los Angeles Times. Archived from the original on July 29, 2012. Retrieved 29 July 2012. ^ Stephen Engelberg (July 16, 1991). "Yugoslav Army Revamping Itself After Setbacks". The New York Times. Retrieved December 13, 2010. ^ "Croatia and the Federal Republic of Yugoslavia (FRY): Military Service". United Nations High Commissioner for Refugees – Refworld. Immigration and Refugee Board of Canada. September 1, 1993. Archived from the original on March 24, 2012. Retrieved December 13, 2010. ^ Chuck Sudetic (July 24, 1991). "Croats Turn Down a New Peace Pact". The New York Times. Retrieved December 13, 2010. ^ a b Stephen Engelberg (July 27, 1991). "Serbia Sending Supplies to Compatriots in Croatia". The New York Times. Retrieved December 13, 2010. ^ Stephen Engelberg (December 12, 1991). "Germany Raising Hopes of Croatia". The New York Times. Retrieved September 27, 2010. Before the war, the Yugoslav Army drew its soldiers from conscription in all of the Yugoslav republics. Now it must rely on Serbian reservists and Serb irregulars who are poorly trained. A recent report by the monitoring mission concluded that the army was routinely shelling civilian areas. ^ "Yugoslav Army Driving on Dubrovnik, 2 Other Cities". Los Angeles Times. Associated Press. October 3, 1991. Retrieved December 13, 2010. ^ Carol J. Williams (November 4, 1991). "Belgrade Gets a Final Warning From EC". Los Angeles Times. Retrieved December 13, 2010. ^ Charles T. Powers (July 28, 1991). "30 Killed as Croatia Battles Rage Unabated". Los Angeles Times. Retrieved December 13, 2010. ^ "Croatia Says Missiles Aimed at Its Fighters". Los Angeles Times. Reuters. December 29, 1991. Retrieved December 13, 2010. ^ Christopher Bellamy (October 10, 1992). "Croatia built 'web of contacts' to evade weapons embargo". The Independent. Retrieved December 13, 2010. ^ Nathaniel C. Nash (January 11, 1992). "Chilean Arms Shipment to Croatia Stirs Tensions". The New York Times. Retrieved December 16, 2010. ^ Chuck Sudetic (August 24, 1991). "Fighting May Unravel Yugoslav Truce". The New York Times. Retrieved December 15, 2010. ^ Chuck Sudetic (August 26, 1991). "New Croatia Strife After Bonn Warning". The New York Times. Retrieved December 15, 2010. ^ Stephen Engelberg (August 3, 1991). "Up to 80 Reported Dead in Croatia Strife". The New York Times. Retrieved January 22, 2011. ^ Chuck Sudetic (August 23, 1991). "Croatia Angrily Sets Deadline on Truce". The New York Times. Retrieved January 22, 2011. ^ John Tagliabue (September 2, 1991). "Europeans Arrive in Yugoslavia to Promote Peace Plan". The New York Times. Retrieved January 22, 2011. ^ John Tagliabue (September 11, 1991). "Europeans Are Unable to Pacify a Croatian City". The New York Times. Retrieved January 22, 2011. ^ Alan Cowell (September 22, 1991). "Croatians Under Fierce Assault; Pleas for Real Truce Are Ignored". The New York Times. Retrieved January 22, 2011. ^ Gabriel Partos (June 13, 2003). "Vukovar massacre: What happened". BBC News. BBC. Retrieved December 15, 2010. ^ Andrew W. Maki (July 10, 2009). "Witness Says Stanisic Supplied Croatia's Serbs With Weapons". United Nations High Commissioner for Refugees – Refworld. Institute for War and Peace Reporting. Archived from the original on October 17, 2012. Retrieved December 15, 2010. ^ a b Helen Seeney (August 22, 2006). "Croatia: Vukovar is Still Haunted by the Shadow of its Past". Deutsche Welle. ARD (broadcaster). Retrieved December 15, 2010. ^ "15,000 Recall Siege of Vukovar in 1991". The New York Times. November 19, 2001. Retrieved December 15, 2010. ^ William Safire (March 14, 1993). "On Language; Ethnic Cleansing". The New York Times. Retrieved September 27, 2010. ^ Chuck Sudetic (October 3, 1991). "Navy Blockade of Croatia Is Renewed". The New York Times. Retrieved December 16, 2010. ^ "Yugoslav Planes Attack Croatian Presidential Palace". The New York Times. October 8, 1991. Retrieved December 13, 2010. ^ Carol J. Williams (October 8, 1991). "Croatia Leader's Palace Attacked". Los Angeles Times. Retrieved January 23, 2011. ^ Bjelajac et al. 2009, pp. 249–250. ^ David Binder (November 9, 1991). "Old City Totters in Yugoslav Siege". The New York Times. Retrieved December 16, 2010. ^ Alan Riding (November 9, 1991). "European Nations Declare Sanctions Against Belgrade". The New York Times. Retrieved December 16, 2010. ^ "Chronology for Serbs in Croatia – 6 December 1991". United Nations High Commissioner for Refugees – Refworld. Minorities at Risk. 2004. Archived from the original on March 24, 2012. Retrieved January 5, 2011. ^ Bjelajac et al. 2009, p. 245. ^ Chuck Sudetic (November 4, 1991). "Army Rushes to Take a Croatian Town". The New York Times. Archived from the original on July 29, 2012. Retrieved 29 July 2012. ^ a b c Željko Krušelj (December 24, 2005). ""Orkan" i "Otkos" raspršili velikosrpske planove" ["Orkan" and "Otkos" disperse plans of a Greater Serbia]. Vjesnik (in Croatian). Narodne Novine d.d. ^ Chuck Sudetic (November 18, 1991). "Croats Concede Danube Town's Loss". The New York Times. Retrieved December 15, 2010. ^ Eugene Brcic (June 29, 1998). "Croats bury victims of Vukovar massacre". The Independent. Retrieved December 15, 2010. ^ "Yugoslavia – further reports of torture" (PDF). Amnesty International. March 1992. Retrieved December 15, 2010. ^ "Balkans: Vukovar Massacre Trial Begins In The Hague". Radio Free Europe/Radio Liberty. Broadcasting Board of Governors. October 11, 2005. Retrieved September 11, 2010. ^ a b "Serbia war crimes prosecutor investigating 12 for 1991 mass murders of Croats". jurist.law.pitt.edu. Jurist Legal News & Research Services, Inc. May 30, 2007. Archived from the original on January 13, 2011. Retrieved December 19, 2010. ^ a b "Croatia war-crimes suspect extradited". CNN International. Turner Broadcasting System. November 16, 2001. Archived from the original on October 2, 2012. Retrieved December 19, 2010. ^ Mirko Kovač (October 9, 2005). "Nije Bilo Genocida Nad Srbima" [There was no Genocide Against Serbs]. Crnogorski Književni List (in Serbian). Doclean Academy of Sciences and Arts. Retrieved January 27, 2011. ^ Eduard Šoštarić (July 8, 2008). "Bitka za jedrenjak 'Jadran'" [Battle for 'Jadran' sailing ship]. Nacional (in Croatian). NCL Media Grupa d.o.o. Archived from the original on July 22, 2012. Retrieved January 25, 2011. ^ "Bombe sull'Istria" (PDF). la Repubblica. December 1991. Retrieved March 6, 2013. ^ "L'Istria e la terza guerra balcanica- Istria in the Third Balcanic War" (PDF). Fucine Mute. October 1999. Retrieved March 6, 2013. ^ "Vrsarski Dragovoljci Posjetili- Vrsar's worshiped deaf-the website is in Croatian" (PDF). UHDDR. April 2011. Retrieved March 6, 2013. ^ Egon Kraljević (November 2007). "Prilog za povijest uprave: Komisija za razgraničenje pri Predsjedništvu Vlade Narodne Republike Hrvatske 1945-1946" [Contribution to the history of public administration: commission for the boundary demarcation at the government's presidency of the People's Republic of Croatia, 1945–1946 (English language summary title)] (PDF). Arhivski vjesnik (in Croatian). Croatian State Archives. 50 (50). ISSN 0570-9008. Retrieved December 10, 2010. ^ Carol J. Williams (January 29, 1992). "Roadblock Stalls U.N.'s Yugoslavia Deployment". Los Angeles Times. Retrieved December 16, 2010. ^ a b Carol J. Williams (May 9, 1992). "Non-Serbs in Croatian Zone Forced to Leave". The New York Times. Retrieved December 16, 2010. ^ a b c d e "Final report of the United Nations Commission of Experts, established pursuant to the UN Security Council Resolution 780 (1992), Annex VIII—Prison camps; Under the Direction of: M. Cherif Bassiouni; S/1994/674/Add.2 (Vol. IV)". School of Humanities, Languages and Social Sciences (UWE). May 27, 1994. Archived from the original on October 22, 2010. Retrieved October 20, 2010. ^ Michael T. Kaufman (June 24, 1992). "Croatian Troops Hit Serbian Area". The New York Times. Retrieved December 17, 2010. ^ Michael T. Kaufman (July 15, 1992). "The Walls and the Will of Dubrovnik". The New York Times. Retrieved December 17, 2010. ^ a b "Prevlaka Peninsula—UNMOP—Background". United Nations. Retrieved December 17, 2010. ^ Chuck Sudetic (January 24, 1993). "Croats Battle Serbs for a Key Bridge Near the Adriatic". The New York Times. Retrieved January 21, 2011. ^ Bjelajac et al. 2009, p. 242. ^ Chuck Sudetic (January 25, 1992). "Yugoslav Leader Threatens Croats". The New York Times. Retrieved January 21, 2011. ^ "'Maslenica' obilježava 14.obljetnicu" ['Maslenica' marks its 14th anniversary]. dnevnik.hr (in Croatian). Nova TV (Croatia). January 20, 2007. Retrieved January 21, 2011. ^ a b John Darnton (January 29, 1992). "Battle for Dam in Croatia Grows, Ousting U.N. Force". The New York Times. Retrieved January 21, 2011. ^ a b John Darnton (January 29, 1992). "Croats Rush Work on Crumbling Dam". The New York Times. Retrieved January 21, 2011. ^ Carol J. Williams (January 30, 1993). "Croats Rush to Drain Massive Lake Behind Dam". Los Angeles Times. Retrieved December 13, 2010. ^ Tom Wilkie (September 16, 1995). "Unsung army officer saved 20,000 lives". The Independent. Retrieved December 16, 2010. ^ Daniel Simpson (December 3, 2002). "Croatia Protects a General Charged With War Crimes". The New York Times. Retrieved January 21, 2011. ^ Lee Windsor (2001). "Professionalism Under Fire" (PDF). The Army Doctrine and Training Bulletin. Canadian Forces Land Force Command. 4 (3): 20–27. Archived from the original (PDF) on June 10, 2011. ^ "Kanađani odlikovani za lažnu bitku" [Canadians decorated for fictitious battle] (in Croatian). Nacional. December 11, 2002. Archived from the original on July 25, 2012. Retrieved January 25, 2011. ^ "Medak Pocket battle 'a myth'". Canada.com. Postmedia News. September 20, 2007. Archived from the original on November 9, 2012. Retrieved January 25, 2011. ^ "Pukovnik UNPROFOR-a: HV se nije sukobio s plavim kacigama" [UNPROFOR colonel: Croatian army did not clash with the blue helmets]. dnevnik.hr (in Croatian). Nova TV. February 20, 2008. Retrieved January 25, 2011. ^ "Martic Owed His Fame to The Knin Roadblocks". Sense-Agency. January 16, 2006. Retrieved September 11, 2010. Efforts to unify the Croatian Krajina and the Bosnian Krajina continued throughout 1992 until 1995. The evidence shows that the RSK leadership sought an alliance, and eventually unification, with the RS in BiH and that Milan Martić was in favour of such unification. A letter dated April 3, 1993 from, inter alia, Milan Martic as minister of the interior to the Assembly of the RS, written on behalf of "the Serbs from the RSK", advocates a joinder of the "two Serbian states as the first stage in the establishment of a state of all Serbs". Moreover, in this regard, the Trial Chamber recalls the evidence concerning operation Koridor 92. On January 21, 1994, during the election campaign for the RSK presidential elections, Milan Martić stated that he would "speed up the process of unification" and "pass on the baton to our all Serbian leader Slobodan Milosevic." ^ "UN Security Council resolution 871 (1993) on the situation in Former Yugoslavia". October 3, 1993. Archived from the original on September 21, 2004. Retrieved September 11, 2010. 7. Stresses the importance it attaches, as a first step towards the implementation of the United Nations peace-keeping plan for the Republic of Croatia, to the process of restoration of the authority of the Republic of Croatia in the pink zones, and in this context calls for the revival of the Joint Commission established under the chairmanship of UNPROFOR; 8. Urges all the parties and others concerned to cooperate with UNPROFOR in reaching and implementing an agreement on confidence-building measures including the restoration of electricity, water and communications in all regions of the Republic of Croatia, and stresses in this context the importance it attaches to the opening of the railroad between Zagreb and Split, the highway between Zagreb and Zupanja, and the Adriatic oil pipeline, securing the uninterrupted traffic across the Maslenica strait, and restoring the supply of electricity and water to all regions of the Republic of Croatia including the United Nations Protected Areas. ^ John F. Burns (July 6, 1992). "Croats Claim Their Own Slice of Bosnia". The New York Times. Retrieved December 17, 2010. ^ Meznaric, Silva; Zlatkovic Winter, Jelena (February 1993). "Forced Migration and Refugee Flows in Croatia, Slovenia and Bosnia-Herzegovina: Early Warning, Beginning and Current State of Flows". Refuge. 12 (7): 3–4. ^ Yigan Chazan (June 9, 1992). "Croatian coast straining under 200,000 refugees: Yigan Chazan in Split finds room running out for the many escaping from war in Bosnia". The Guardian. Retrieved December 31, 2014. ^ Blaskovich (1997), p. 103. ^ Paul Lewis (February 4, 1994). "U.N. Security Council Warns Croatia on Troops in Bosnia". The New York Times. Retrieved December 17, 2010. ^ Doyle McManus (February 25, 1994). "Croats, Muslims Summoned to U.S. for Talks". Los Angeles Times. Retrieved December 17, 2010. ^ William E. Schmidt (February 24, 1994). "Croats and Muslims Reach Truce To End the Other Bosnia Conflict". The New York Times. Retrieved December 17, 2010. ^ Stephen Kinzer (March 4, 1994). "Croatian Leader Backs Pact by Bosnia's Muslims and Croats". The New York Times. Retrieved December 17, 2010. ^ Stephen Kinzer (January 4, 1995). "Opened Road in Croatia: Path to Peace?". The New York Times. Retrieved December 17, 2010. ^ Roger Cohen (December 12, 1994). "Conflict in the Balkans: In Croatia; Balkan War May Spread Into Croatia". The New York Times. Retrieved October 13, 2010. ^ Roger Cohen (October 28, 1994). "Hard-Fought Ground". The New York Times. Retrieved November 20, 2011. ^ "Croatia – Operation Storm 1995". GlobalSecurity.org. Retrieved January 17, 2011. ^ David Isenberg (August 19, 2010). "MPRI Couldn't Read Minds: Let's Sue Them". The Huffington Post. Retrieved January 17, 2011. ^ "Croatia Tells U.N. Troop Accord Ends". The New York Times. January 13, 1995. Retrieved December 18, 2010. ^ "The situation in the occupied territories of Croatia". United Nations General Assembly. February 9, 1995. Archived from the original on June 29, 2011. Retrieved December 14, 2010. ^ Raymond Bonner (March 14, 1995). "Croatia's Serbs Balk at a New U.N. Role". The New York Times. Retrieved December 18, 2010. ^ Christopher S. Wren (April 1, 1995). "U.N. Votes to Keep Its Troops In Balkans for 8 More Months". The New York Times. Retrieved December 18, 2010. ^ Roger Cohen (May 7, 1995). "Serbia Moves Tanks to Croatia Border". The New York Times. Retrieved December 18, 2010. ^ Tony Barber (October 28, 1995). "Croats ready to hurl troops into battle of Bihać". The Independent. UK. Retrieved October 13, 2010. ^ William D. Montalbano (August 1, 1995). "Balkan War Looms as Croatia Widens Its Reach". Los Angeles Times. Retrieved December 18, 2010. ^ "Croatia to Assist Bosnia". The New York Times. July 23, 1995. Retrieved January 2, 2011. ^ Alan Cowell (July 30, 1995). "Croatia Presses Offensive Against Serbs". The New York Times. Retrieved December 30, 2010. ^ "The Croatian Offensive". The New York Times. August 8, 1995. Retrieved December 18, 2010. ^ Marko Attila Hoare (March 14, 2008). "How Croatia and the US prevented genocide with 'Operation Storm'". Henry Jackson Society. Retrieved December 20, 2010. ^ Arhivista (May 13, 2007). Vježba bježanja [Fleeing Practice] (in Serbian). nl.youtube.com. Retrieved February 7, 2010. ^ a b "Croatia: "Operation Storm" – still no justice ten years on". Amnesty International. August 26, 2005. Archived from the original on January 19, 2011. Retrieved January 27, 2011. ^ "Croatia marks Storm anniversary". BBC News. August 5, 2005. Retrieved December 23, 2010. ^ Matt Prodger (August 5, 2005). "Evicted Serbs remember Storm". BBC News. BBC. Retrieved December 23, 2010. ^ "World Refugee Survey—Croatia". U.S. Committee for Refugees and Immigrants. Archived from the original on March 15, 2008. Retrieved November 19, 2010. ^ "Croatia's President Pledges To Retake Serb-Held Enclave". The New York Times. August 27, 1995. Retrieved December 18, 2010. ^ Chris Hedges (October 15, 1995). "Croatia Reported to Move Troops to Disputed Serb Region". The New York Times. Retrieved December 18, 2010. ^ "Croatian President Again Threatent Attack". The New York Times. Reuters. November 5, 1995. Retrieved December 18, 2010. ^ "The Erdut Agreement" (PDF). United States Institute of Peace. November 12, 1995. Archived from the original (PDF) on December 25, 2012. Retrieved January 17, 2011. ^ a b c René van der Linden (March 29, 1996). "Croatia's request for membership of the Council of Europe – Report". Council of Europe. Archived from the original on January 11, 2012. Retrieved January 17, 2011. ^ a b c "Slobodan Milošević trial – Transcript". International Criminal Tribunal for the former Yugoslavia. October 15, 2003. pp. 27555–27556. Retrieved January 17, 2011. ^ United Nations Security Council Resolution 1037. S/RES/1037(1996) (1996) Retrieved 6 September 2008. ^ Josip Čerina (July 2008). "Branitelji benkovačkog kraja u domovinskom ratu" [Croatian War Veterans of the Benkovac Area in the Croatian War of Independence (English language summary)]. Društvena istraživanja (in Croatian). Ivo Pilar Institute of Social Sciences. 17 (3). ISSN 1330-0288. Retrieved December 16, 2010. ^ Amy Fallon (April 2, 2010). "Serbian war crimes suspect Mile Bosnic arrested in Gloucester". The Guardian. Retrieved December 16, 2010. ^ Roger Cohen (January 12, 1995). "Croatia Is Set to End Mandate Of U.N. Force on Its Territory". The New York Times. Retrieved December 16, 2010. ^ "Croatia marks massacre in Vukovar". BBC News. BBC. November 18, 2006. Retrieved December 16, 2010. ^ Trevor Bormann (September 28, 2010). "The real captain Dragan". ABC News (Australia). Retrieved December 16, 2010. ^ Slavko Halužan (December 1999). "Vojna učinkovitost protupješačkih mina: Iskustva iz domovinskog rata" [Combat Effectiveness of Anti-Infantry Landmines: Experiences From the Croatian Patriotic War (English language summary)]. Polemos: časopis za interdisciplinarna istraživanja rata i mira (in Croatian). Croatian Sociological Association and Jesenski & Turk Publishing House. 2 (3–4). ISSN 1331-5595. Retrieved December 16, 2010. ^ Mario Dragun (May 27, 2008). "Press Release 155/08". Ministry of Foreign Affairs and European Integration (Croatia). Archived from the original on February 17, 2013. Retrieved December 16, 2010. ^ "Croatian leadership slates Jeremić comments". B92. May 28, 2008. Archived from the original on November 4, 2012. Retrieved December 16, 2010. ^ a b c Bjelajac et al. 2009, pp. 238–239. ^ "The Prosecutor vs. Dusko Tadic a/k/a "Dule"". International Criminal Tribunal for the former Yugoslavia. October 5, 1995. Retrieved January 19, 2011. ^ "Final Report of the Commission of Experts Established Pursuant to Security Council Resolution 780 (1992) – General Conclusions and Recommendations". United Nations. May 27, 1994. Retrieved September 7, 2011. ^ a b David Binder (January 8, 1992). "U.N.'s Yugoslavia Envoy Says Rising War-Weariness Led to the Cease-Fire". The New York Times. Retrieved January 18, 2011. ^ "Serbia to respond to Croatian genocide charges with countersuit at ICJ". SETimes.com. Southeast European Times. November 20, 2008. Retrieved February 7, 2010. ^ "UN to hear Croatia genocide claim against Serbia". Tehran Times. November 19, 2008. Retrieved February 7, 2010. ^ Fink 2010, p. 469. ^ "Croatia/Serbia: more action needed to find missing persons". The International Committee of the Red Cross (ICRC). November 4, 2010. Retrieved January 23, 2011. ^ "Book of Missing Persons on the Territory of the Republic of Croatia". The International Committee of the Red Cross (ICRC). January 1, 2010. Retrieved January 23, 2011. ^ Vesna Roller (November 7, 2009). "HZMO: Invalidsku mirovinu primaju 45.703 hrvatska ratna vojna invalida" [Croatian Retirement Insurance Institute: Disability check received by 45,703 persons formerly serving with Croatian military]. Glas Slavonije (in Croatian). Glas Slavonije d.d. Retrieved January 22, 2011. ^ S. Dukić (June 23, 2009). "U protekle tri godine novih 8 tisuća invalida Domovinskog rata" [Extra 8000 disabled persons due to the Homeland War in the past three years]. Slobodna Dalmacija (in Croatian). Europapress Holding. Retrieved January 22, 2011. ^ Stanislav Soldo (October 30, 2010). "Oboljeli od PTSP-a: Blokirat ćemo sve domove zdravlja" [PTSD patients: We shall block all primary healthcare facilities]. Slobodna Dalmacija (in Croatian). Europapress Holding. Retrieved January 22, 2011. ^ a b "Civil and Political Rights in Croatia". Human Rights Watch. October 1, 1995. p. 62. Retrieved December 23, 2010. ^ a b c "Croatia Human Rights Practices, 1993". US Department of State. January 31, 1994. Retrieved December 13, 2010. ^ a b "Croatia: Selected Developments in Transitional Justice" (PDF). International Center for Transitional Justice. Archived from the original (PDF) on June 18, 2013. Retrieved September 5, 2009. ^ Carol J. Williams (December 14, 1991). "Serbian Refugees Uneasy in the Role of Occupiers". Los Angeles Times. Retrieved December 16, 2010. ^ Marcus Tanner (August 24, 1992). "'Cleansing' row prompts crisis in Vojvodina". The Independent. Retrieved January 19, 2011. ^ Meštrović.S (1996), Genocide After Emotion: The Postemotional Balkan War, Taylor & Francis Ltd, p.77. Books.google.se. Retrieved April 28, 2010. ^ Štrbac, Savo (December 1999). "Zločini nad Srbima na prostoru Hrvatske u periodu 90–99" [Crimes Against Serbs in the territory of Croatia in Period of 1990–1999] (PDF). Veritas – Bilten (in Serbian). Archived from the original (PDF) on March 25, 2009. Retrieved September 5, 2009. ^ "Croatia – Events of 2008". Human Rights Watch. Retrieved September 5, 2009. ^ "Šimonović potvrdio Josipovića: U tužbi protiv Srbije se nalaze logori" [Šimonović confirms Josipović: The camps are included in the lawsuit against Serbia]. Business.hr (in Croatian). Business.hr d.o.o. January 8, 2010. Archived from the original on February 13, 2010. Retrieved January 17, 2011. ^ "World Veterans Federation – Alphabetical List by Country". World Veterans Federation (WVF). Archived from the original on September 7, 2011. Retrieved January 17, 2011. ^ Maja Sajler Garmaz (December 21, 1991). "Beskrajna obnova od rata" [Endless reconstruction after the war]. Vjesnik (in Croatian). Narodne Novine d.d. Retrieved January 20, 2011. ^ Chuck Sudetic (December 21, 1991). "Yugoslav Breakup Gains Momentum". The New York Times. Retrieved January 20, 2011. ^ Bob Davis (May 8, 2009). "Hyper Hyper-Inflation". The Wall Street Journal. Retrieved January 20, 2011. ^ "The Worst Episode of Hyperinflation in History: Yugoslavia 1993–94". San Jose State University. Retrieved January 20, 2011. ^ "Dogodilo se 26. listopada" [Happened on October 26]. Hrvatski spomenar (in Croatian). Hrvatski Informativni Centar. Retrieved January 27, 2011. Neprekinuta opća opasnost u Županji traje još od travnja 1992 ... Srbi iz Bosne grad gađaju oko 12 ili oko 15 sati, kada je na ulicama najviše ljudi. ^ Chuck Sudetic (October 20, 1991). "Aid Convoy Falls Victim in Croatia". The New York Times. Retrieved December 16, 2010. ^ "Croatia Fighting Worsens as Zagreb Suburb Is Hit". The New York Times. September 11, 1993. Retrieved October 7, 2010. ^ Chuck Sudetic (November 5, 1991). "Yugoslav Battles Rage on Eve of Talks". The New York Times. Retrieved December 16, 2010. ^ Jelić A (December 1994). "Child casualties in a Croatian community during the 1991-2 war". Archives of Disease in Childhood. 71 (6): 540–2. doi:10.1136/adc.71.6.540. PMC 1030096. PMID 7726618. ^ Soldo S, Puntarić D, Petrovicki Z, Prgomet D (February 1999). "Injuries caused by antipersonnel mines in Croatian Army soldiers on the East Slavonia front during the 1991–1992 war in Croatia". Military Medicine. 164 (2): 141–4. PMID 10050574. ^ Hanson (2000), p. 96. ^ Nicholas Walton (May 30, 2007). "Croatian bees sniff out landmines". BBC News. BBC. Retrieved January 17, 2010. ^ "Mine victims assistance (MVA)". Croatian Mine Action Centre. 2010. Retrieved January 17, 2010. ^ Marcin Monko (September 30, 2005). "Croatia: safe playgrounds in danger zones". International Committee of Red Cross. Retrieved January 17, 2010. ^ Valentina Pop (August 10, 2009). "Croatian region calls for EU aid on landmines". EUobserver. Retrieved January 17, 2010. ^ "Statute of the Tribunal". International Criminal Tribunal for the former Yugoslavia. September 2009. Retrieved January 19, 2011. ^ "About the ICTY". International Criminal Tribunal for the former Yugoslavia. Archived from the original on January 31, 2011. Retrieved December 19, 2010. ^ Simons, Marlise (April 15, 2011). "U.N. Court Convicts Two Croatian Generals of War Crimes and Frees a Third". The New York Times. ^ Attila Hoare, Marko (June 2005). "The Capitulation of the Hague Tribunal". Helsinki Committee for Human Rights in Serbia. Retrieved April 9, 2011. ^ "Serb leader jailed for war crimes". BBC News. BBC. March 10, 2006. Retrieved December 20, 2010. ^ "Milan Babic — Former dentist who founded the doomed Serb Republic of Krajina and initiated 'ethnic cleansing'". The Times. March 10, 2006. Retrieved December 20, 2010. ^ a b "Hague triples Vukovar jail term". BBC News. BBC. May 5, 2009. Retrieved December 15, 2010. ^ Armatta, Judith (2010). Twilight of Impunity: The War Crimes Trial of Slobodan Milosevic. Durham, North Carolina: Duke University Press. p. 190. ISBN 978-0-8223-4746-0. ^ "U.N. tribunal to rule in Vukovar massacre case". Reuters. September 25, 2007. Retrieved September 11, 2010. ^ Marlise Simons (June 30, 1998). "Serb Charged in Massacre Commits Suicide". The New York Times. Retrieved December 16, 2010. ^ "General guilty in Dubrovnik attack". The New York Times. February 1, 2005. Retrieved April 11, 2011. ^ "Vladimir Kovacevic Declared Unfit to Stand Trial". International Criminal Tribunal for the former Yugoslavia. April 12, 2006. Retrieved June 12, 2012. ^ "Momcilo Perisic: Yugoslav army chief conviction overturned". BBC. February 28, 2013. ^ "UN court quashes acquittal of Serb politician for war crimes". Irish Times. April 11, 2018. ^ "1st contempt of court proceedings: Vojislav Šešelj" (PDF). ICTY. "2nd contempt of court proceedings: Vojislav Šešelj" (PDF). ICTY. "3rd contempt of court proceedings: Vojislav Šešelj" (PDF). ICTY. ^ Roy W. Gutman (December 31, 1998). "Spotlight on violations of international humanitarian law—The role of the media". International Review of the Red Cross. International Committee of the Red Cross (325). Retrieved December 15, 2010. ^ a b c "Milosevic Indictment (text)". BBC News. BBC. October 29, 2001. Retrieved December 19, 2010. ^ "Croatia: Information on abuses carried out between April 1992 and September 1992 by Serbian military and paramilitary forces in Krajina generally and in particular in the places named in Response HRV16050.E". United Nations High Commissioner for Refugees – Refworld. Immigration and Refugee Board of Canada. February 1, 1994. Archived from the original on October 17, 2012. Retrieved December 20, 2010. ^ Stephen Engelberg (December 19, 1991). "Villagers in Croatia Recount Massacre by Serbian Forces". The New York Times. Retrieved December 16, 2010. ^ "Milosevic scorns UN tribunal". BBC News. July 3, 2001. Retrieved February 4, 2011. ^ "Amnesty International Report 2010 – Croatia". UNHCR – Refworld. Amnesty International. May 28, 2010. Archived from the original on October 17, 2012. Retrieved January 13, 2011. ^ Chuck Sudetic (January 25, 1992). "Evidence in Massacre Points to Croats". The New York Times. Retrieved December 19, 2010. ^ "Croatia Admits Serb Civilians Were Killed". Los Angeles Times. Associated Press. October 3, 1995. Retrieved December 19, 2010. ^ "Mercep suspected of murder or disappearance of 43 people". T-portal. T-Com Hrvatska. December 12, 2010. Archived from the original on July 17, 2011. Retrieved January 22, 2011. ^ Berislav Jelinić (July 31, 2006). "Suljic dying, statement against Mercep impossible". Nacional. NCL Media Grupa d.o.o. Archived from the original on July 25, 2012. Retrieved 22 January 2011. ^ "Presuda i rješenje broj: I Kž 81/06-7" [Ruling and decision number: I Kž 81/06-7] (in Croatian). Supreme Court of the Republic of Croatia. May 10, 2006. Retrieved January 22, 2011. ^ "Croatia detains former official for war crimes". CBC News. Canadian Broadcasting Corporation. December 10, 2010. Retrieved January 22, 2011. ^ "Bosnia Arrests Croatian Deputy Convicted Of War Crimes". Radio Free Europe/Radio Liberty. Broadcasting Board of Governors. May 13, 2009. Retrieved January 22, 2011. ^ "Rahim Ademi acquitted" (PDF). International Criminal Tribunal for the former Yugoslavia. Retrieved January 22, 2011. ^ "Profile: General Janko Bobetko". BBC News. BBC. April 29, 2003. Retrieved January 22, 2011. ^ "Janko Bobetko, 84, a Hero of Croatian Independence, Dies". The New York Times. Associated Press. April 30, 2003. Retrieved January 22, 2011. ^ Vesna Perić Zimonjić (March 12, 2008). "Croatian general accused of ethnic cleansing against Serbs goes on trial". The Independent. Retrieved October 13, 2010. ^ Marina Karlović-Sabolić (September 15, 2001). "Prohujalo s Olujom". Slobodna Dalmacija. Europapress Holding. Retrieved October 13, 2010. ^ "Statement by Justice Louise Arbour, Prosecutor of the ICTY during her visit to Zagreb, Croatia". International Criminal Tribunal for the former Yugoslavia. July 20, 1999. Retrieved November 19, 2010. ^ "Judges Grant Leave to Amend Operation Storm Indictment". International Criminal Tribunal for the former Yugoslavia. October 21, 2005. Retrieved November 19, 2010. ^ Nicholas Wood (March 18, 2006). "The End of Greater Serbia". The New York Times. Retrieved December 12, 2010. ^ "Obituary: Slobodan Milosevic". BBC News. BBC. March 11, 2006. Retrieved December 12, 2010. ^ Doder & Branson 1999, p. 81. ^ Miloš Vasić (January 23, 1999). "Politika Falsifikata" [Policy of Falsification]. Vreme (in Serbian). NP "VREME" d.o.o. Retrieved January 23, 2011. ^ Christopher Bennett. "How Yugoslavia's Destroyers Harnessed Media". Public Broadcasting Service. Retrieved January 23, 2011. ^ Jane Perlez (August 10, 1997). "Serbian Media Is a One-Man Show". The New York Times. Retrieved January 23, 2011. ^ a b "Serb leader Tadic apologises for 1991 Vukovar massacre". BBC News. BBC. November 4, 2010. Retrieved December 18, 2010. ^ "Serbia and Croatia Agree to Diplomatic Relations". The New York Times. August 8, 1996. Retrieved December 18, 2010. ^ a b "Preliminary Objections (Croatia v. Serbia)" (PDF). The International Court of Justice. November 18, 2008. Archived from the original (PDF) on December 25, 2012. Retrieved December 19, 2010. ^ "Application Instituting Proceedings (Croatie c. Yugoslavie)" (PDF). The International Court of Justice. July 2, 2008. Archived from the original (PDF) on July 26, 2011. Retrieved December 19, 2010. ^ "Serbia files genocide lawsuit against Croatia". B92. January 4, 2010. Archived from the original on June 8, 2011. Retrieved December 19, 2010. ^ "No court trial would be better for Zagreb". Blic. January 4, 2010. Archived from the original on December 22, 2010. Retrieved December 19, 2010. Bjelajac, Mile; Žunec, Ozren; Mieczyslaw Boduszynski; Raphael Draschtak; Igor Graovac; Sally Kent; Rüdiger Malli; Srdja Pavlović; Jason Vuić (2009). "The War in Croatia, 1991–1995" (PDF). In Ingrao, Charles W.; Emmert, Thomas Allan (eds.). Confronting the Yugoslav Controversies: a Scholars' Initiative (PDF). Purdue University Press. ISBN 1-55753-533-7. Brown, Cynthia; Karim, Farhad (1995). Playing the "Communal Card": Communal Violence and Human Rights. New York City: Human Rights Watch. ISBN 978-1-56432-152-7. Bucknam, Mark (2003). Responsibility of Command. Maxwell Air Force Base: Air University Press. ISBN 1-58566-115-5. OCLC 52199670. Burg, Steven L.; Shoup, Paul S. (2000). The War in Bosnia-Herzegovina: Ethnic Conflict and International Intervention. New York City: M.E. Sharpe. ISBN 1-56324-309-1. Djokić, Dejan (2003). Yugoslavism: Histories of a Failed Idea, 1918–1992. C. Hurst & Co. Publishers. ISBN 978-1-85065-663-0. Dominelli, Lena (2007). Revitalising Communities in a Globalising World. Hampshire: Ashgate Publishing. ISBN 0-7546-4498-7. Doder, Dusko; Branson, Louise (1999). Milosevic: Portrait of a Tyrant. Simon & Schuster. ISBN 0-684-84308-0. Fink, George (2010). Stress of War, Conflict and Disaster. Academic Press. ISBN 9780123813824. Finlan, Alastair (2004). The Collapse of Yugoslavia, 1991–1999. Oxford: Osprey Publishing. ISBN 1-84176-805-7. Frucht, Richard C. (2005). Eastern Europe: An Introduction to the People, Lands, and Culture. Santa Barbara, California: ABC-CLIO. ISBN 1-57607-800-0. Glaurdić, Josip (2011). The Hour of Europe: Western Powers and the Breakup of Yugoslavia. Yale University Press. ISBN 978-0-300-16645-3. Goldstein, Ivo (1999). Croatia: A History. London: C. Hurst & Co. Publishers. ISBN 1-85065-525-1. Hanson, Alan (2000). "Croatian Independence from Yugoslavia, 1991–1992" (PDF). In Greenberg, Melanie C.; Barton, John H.; McGuinness, Margaret E. (eds.). Words Over War, Mediation and Arbitration to Prevent Deadly Conflict (PDF). Rowman & Littlefield. ISBN 0-8476-9892-0. Archived from the original (PDF) on July 20, 2006. Kadijević, Veljko (1993). Moje viđenje raspada: vojska bez države [My View of Dissolution: an Army Without a State] (in Serbian). Belgrade: Politika. ISBN 86-7607-047-4. Kovačević, Drago; Linta, Miodrag (2003). Kavez: Krajina u dogovorenom ratu [Cage: Krajina in an Arranged War] (in Serbian). Belgrade: Srpski demokratski forum. ISBN 86-83759-04-0. Mann, Michael (2005). The Dark Side of Democracy: Explaining Ethnic Cleansing. Cambridge University Press. ISBN 0-521-53854-8. Mesić, Stjepan (2004). The Demise of Yugoslavia: A Political Memoir. Central European University Press. ISBN 963-9241-81-4. Meštrović, Stjepan Gabriel (1996). Genocide After Emotion: The Postemotional Balkan War. Routledge. ISBN 0-415-12294-5. Ramet, Sabrina P. (2006). The Three Yugoslavias: State-Building and Legitimation, 1918–2005. Bloomington, Indiana: Indiana University Press. ISBN 0-253-34656-8. Sekulić, Milisav (2000). Knin je pao u Beogradu [Knin Fell in Belgrade] (in Serbian). Nidda Verlag. UDK: 3 355.45(497.5-074)"1991/1995". Silber, Laura; Little, Allan (1996). The Death of Yugoslavia. Penguin Books. ISBN 0-14-026168-0. Silber, Laura; Little, Allan (1997). Yugoslavia: Death of a Nation. London: Penguin Books. ISBN 0-14-026263-6. Thomas, Nigel (2006). The Yugoslav Wars: Slovenia & Croatia 1991–95. Oxford: Osprey Publishing. ISBN 1-84176-963-0. Vrcelj, Marko (2002). Rat za Srpsku Krajinu: 1991–1995 [War for Serbian Krajina: 1991–1995] (in Serbian). Belgrade: Srpsko kulturno društvo "Zora". ISBN 978-86-83809-06-6. Wertheim, Eric (2007). Naval Institute Guide to Combat Fleets of the World: Their Ships, Aircraft, and Systems. Naval Institute Press. ISBN 1-59114-955-X. Western European Union (1986). Proceedings—Assembly of Western European Union: Actes officiels—Assemblée de l'Union de l'europe. University of Virginia. Zanotti, Laura (2011). Governing Disorder: UN Peace Operations, International Security, and Democratization in the Post-Cold War Era. Penn State Press. ISBN 978-0-271-03761-5. "The Prosecutor vs. Milan Babić - Judgement" (PDF). International Criminal Tribunal for the former Yugoslavia. June 26, 2009. Retrieved September 11, 2010. Eastern Europe and the Commonwealth of Independent States. Routledge. 1999. ISBN 978-1-85743-058-5. World of Information (2003). Europe Review. Kogan Page. ISBN 0-7494-4067-8. "The Prosecutor vs. Milan Martic - Judgement" (PDF). International Criminal Tribunal for the former Yugoslavia. June 12, 2007. Retrieved August 11, 2010. "The Prosecutor of the Tribunal against Slobodan Milošević (IT-02-54) - Indictment" (PDF). International Criminal Tribunal for the former Yugoslavia. October 22, 2002. Retrieved October 18, 2010. "Summary of the Judgement in the Case of Prosecutor v. Momčilo Perišić" (PDF). The Hague: International Criminal Tribunal for the former Yugoslavia. September 6, 2011. Retrieved September 7, 2011. Vesna Pešić (April 1996). "Serbian Nationalism and the Origins of the Yugoslav Crisis". Peaceworks. United States Institute for Peace (8). Retrieved November 29, 2012. Kreš, Marija, ed. (September 2010). "Prilog "Policija u Domovinskom ratu 1990. - 1991."" (PDF). Glasilo "Mir, ugled, povjerenje" (in Croatian). Ministry of Internal Affairs of the Republic of Croatia (42). ISSN 1846-3444. Retrieved September 30, 2011. "Application of the Convention on the Prevention and Punishment of the Crime of Genocide (Croatia v. Serbia)" (PDF). Archived from the original (PDF) on December 13, 2016. 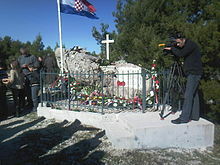 Wikimedia Commons has media related to Croatian War of Independence. "Yugoslavia: Torture and Deliberate and Arbitrary Killings in War Zones". Amnesty International. November 1991. "Zloupotreba psihijatrije" [Abuse of Psychiatry]. NIN (in Serbian). Ringier Axel Springer. October 14, 1999. Retrieved January 30, 2011.